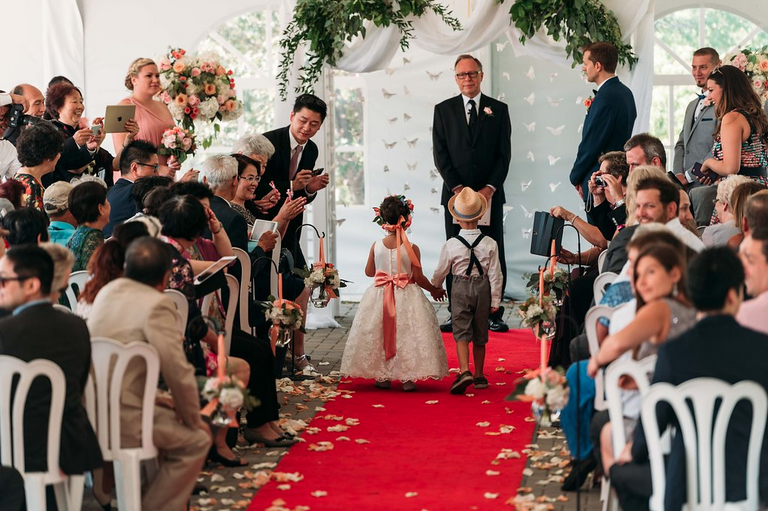 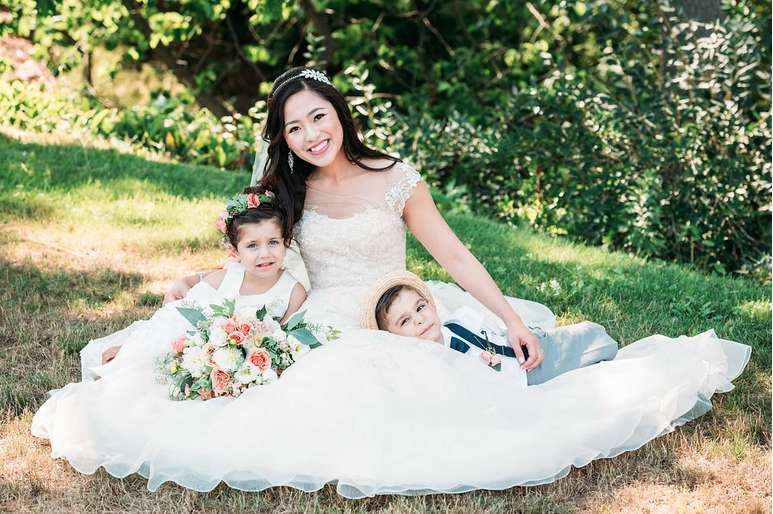 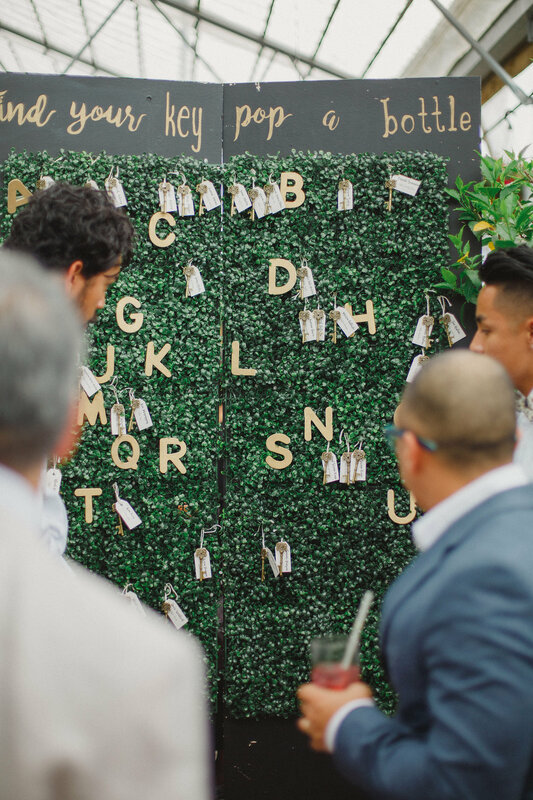 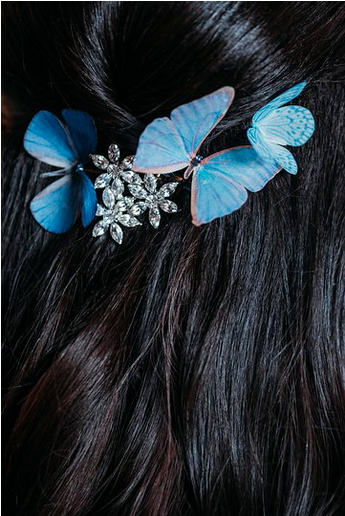 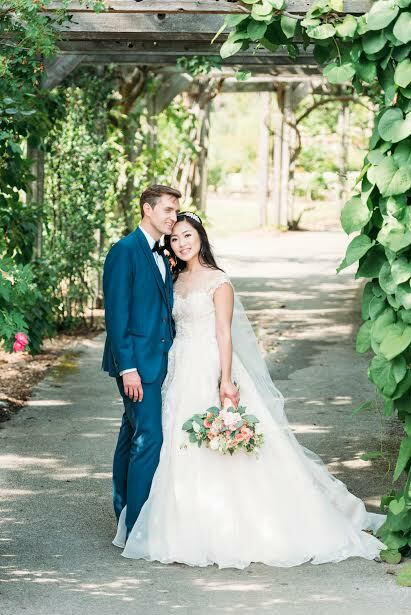 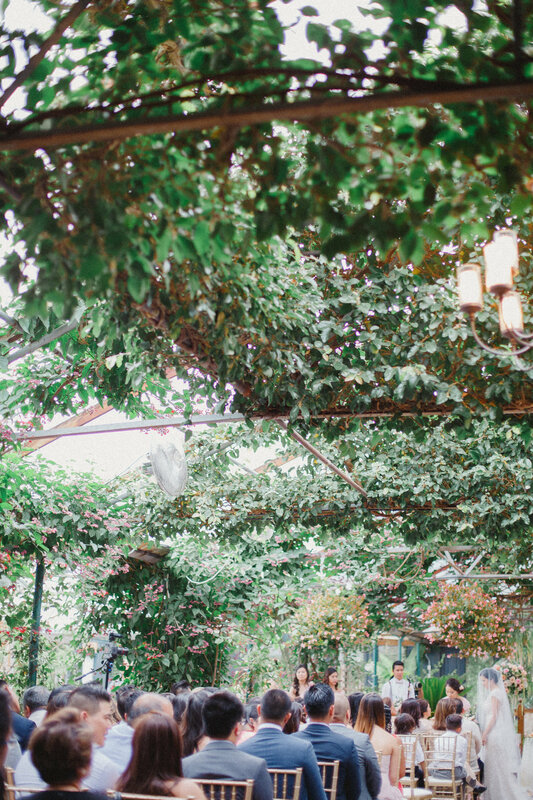 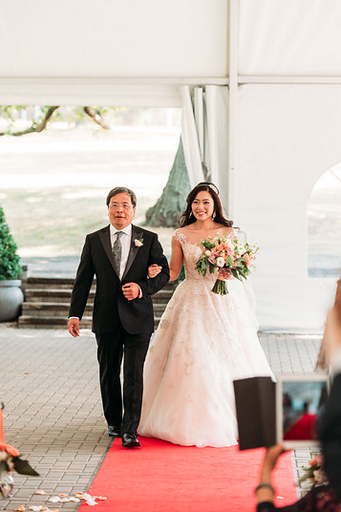 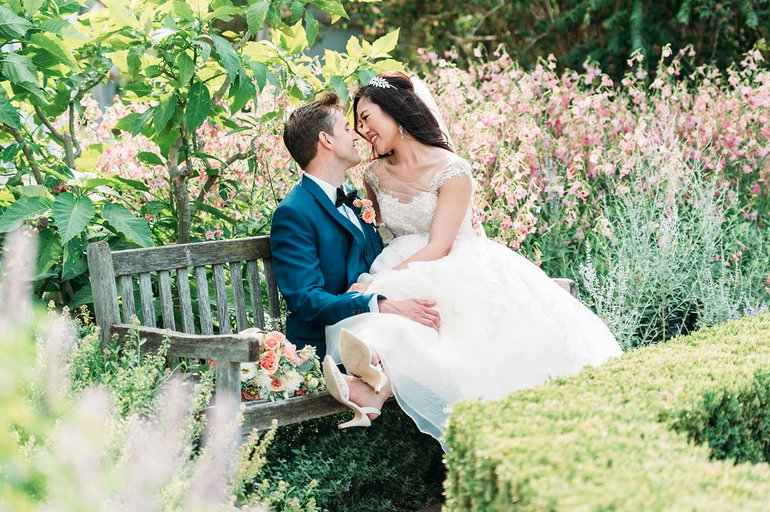 A magical garden filled with butterflies a plenty was bride Nami’s vision for her special day. 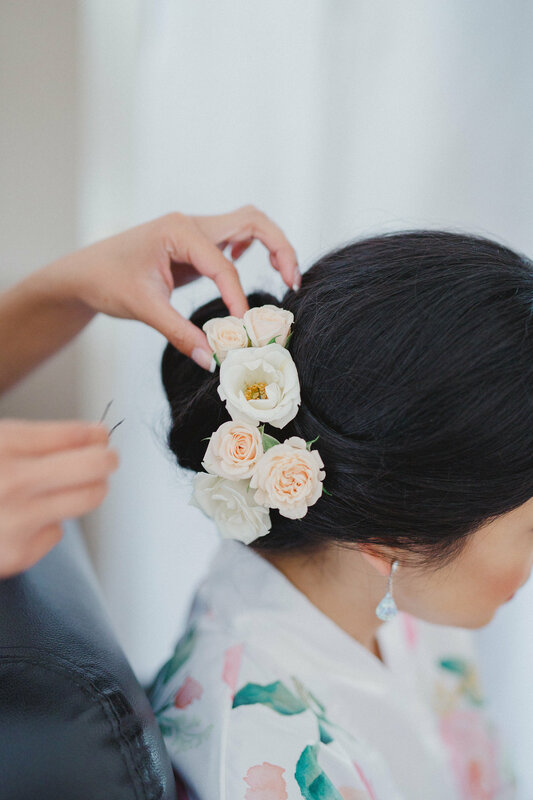 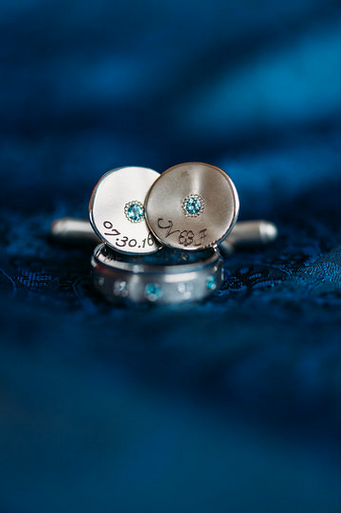 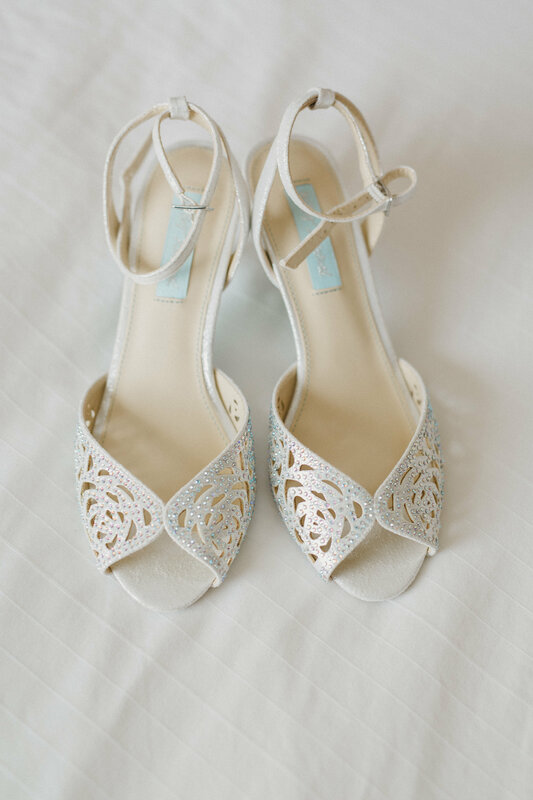 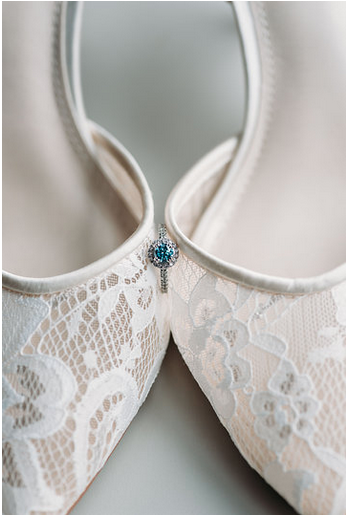 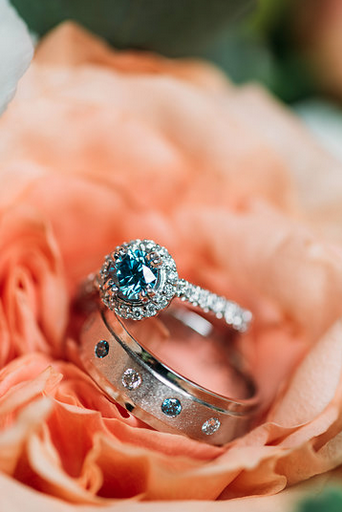 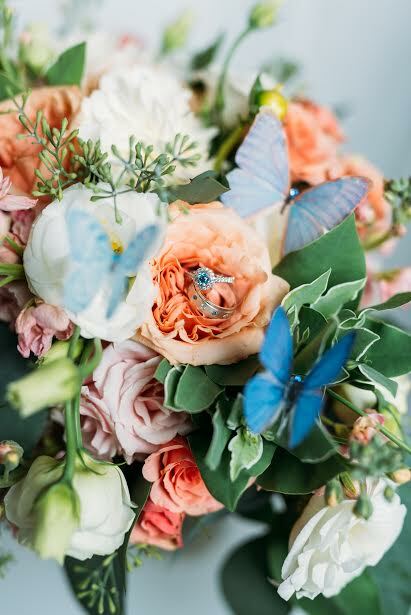 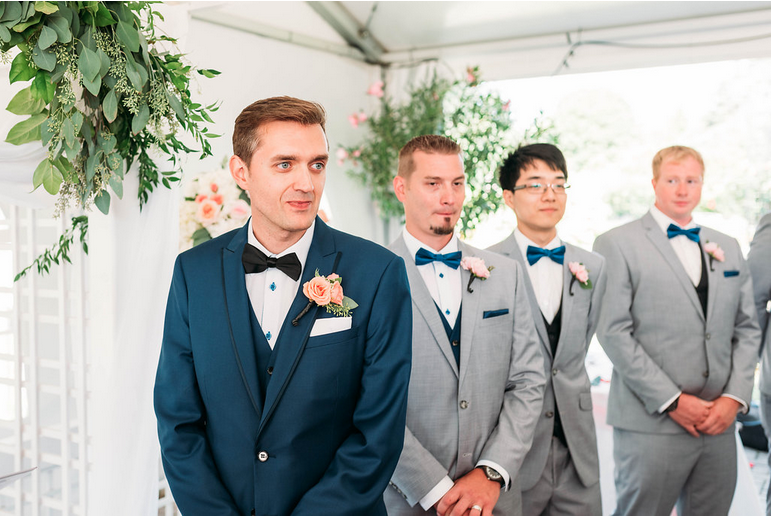 With a ceremony planned at The Royal Botanical Gardens her wish was sure to come true and it was filled to the brim with fresh summer flowers, handmade butterflies and beautiful aquamarine details to match her pretty engagement ring. 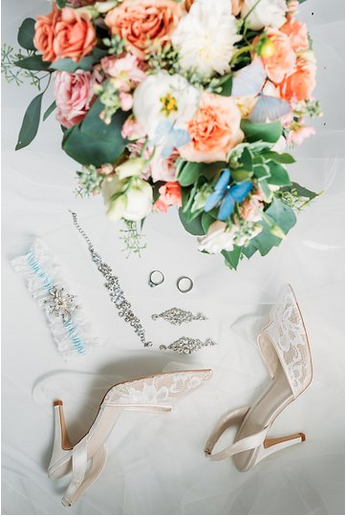 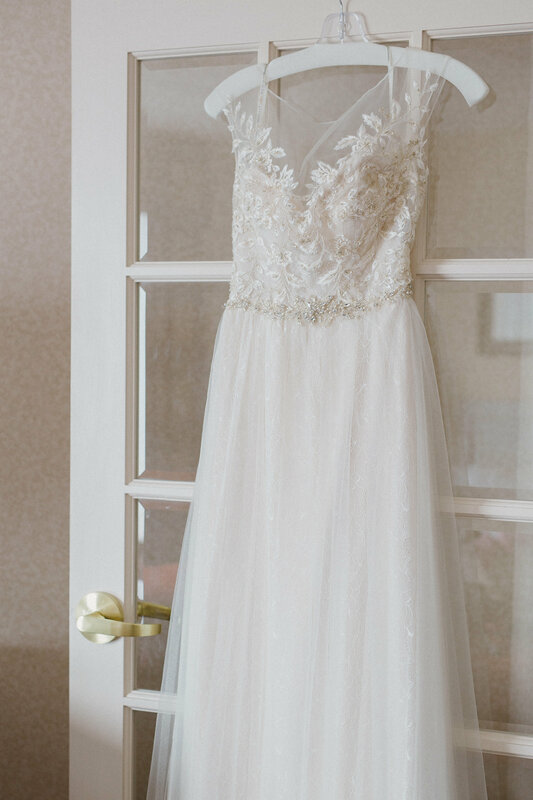 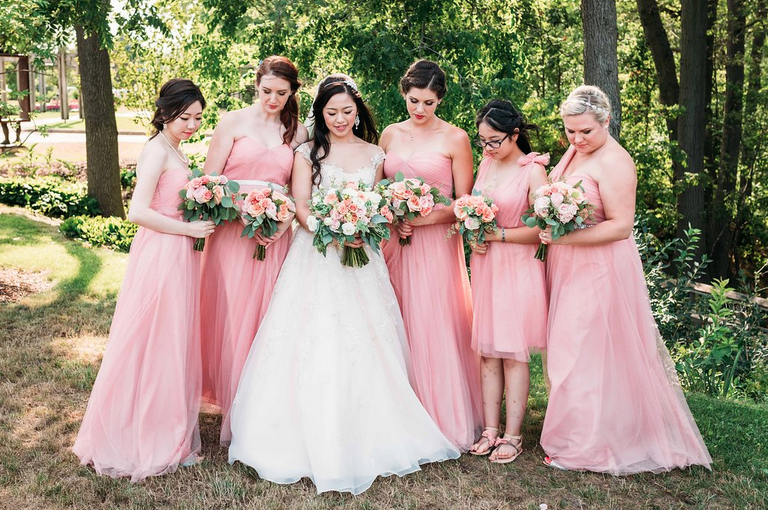 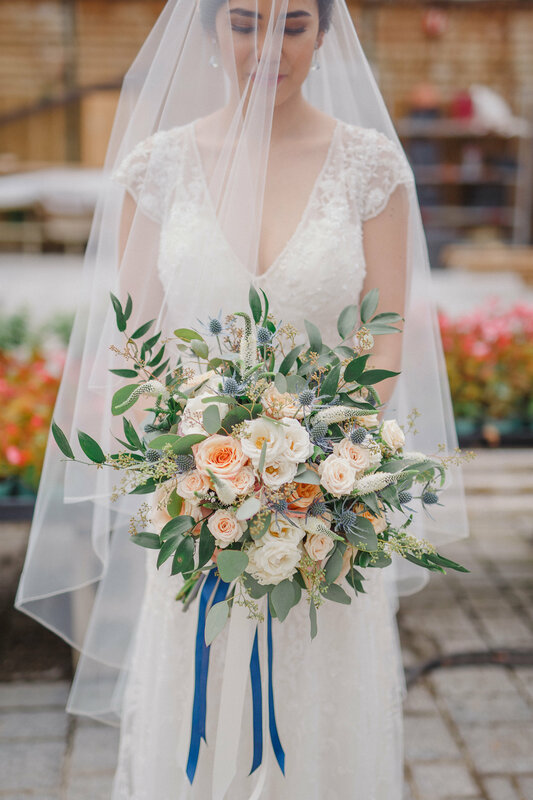 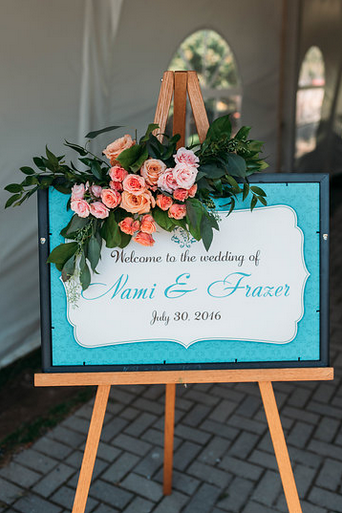 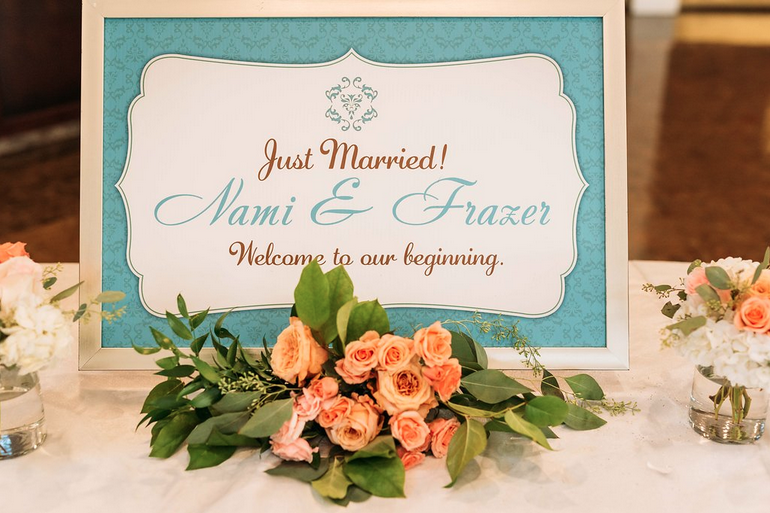 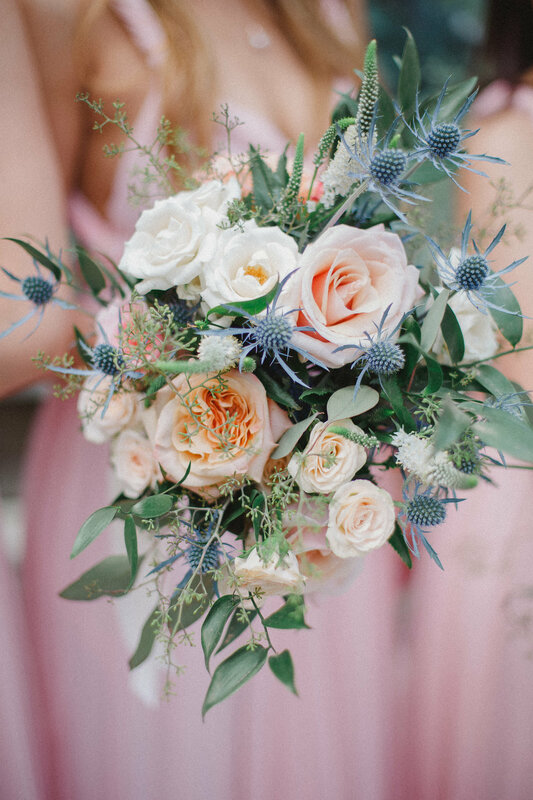 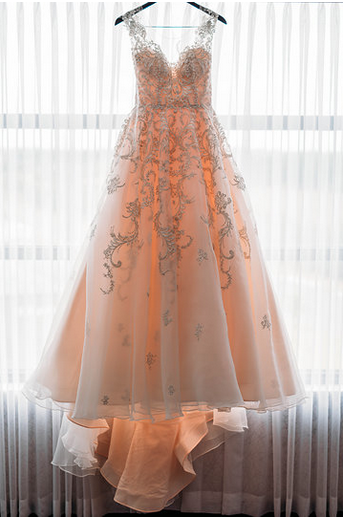 A pretty palette of soft peach, blush and cream with lush greenery was chosen to compliment all of the aquamarine details found throughout the day in everything from the rings, the reception dress and stationary details. 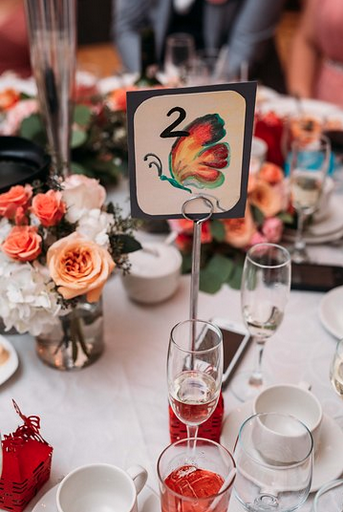 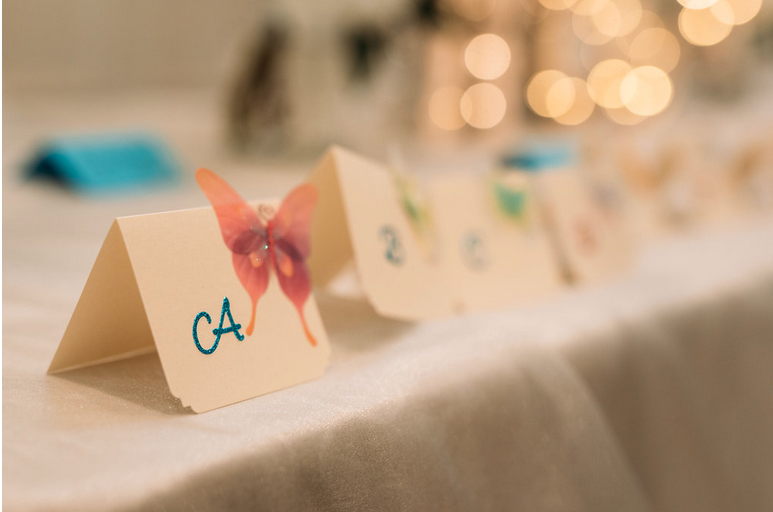 Butterflies were also in abundance; in the bride’s hair, hand painted on the table numbers and other stationary details and scattered on tabletops and added a magical touch of whimsy to the decor. 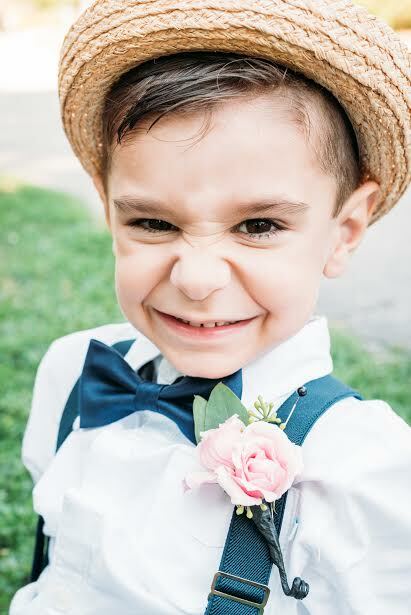 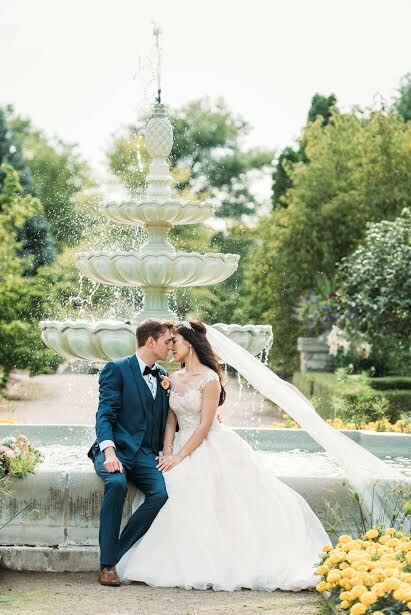 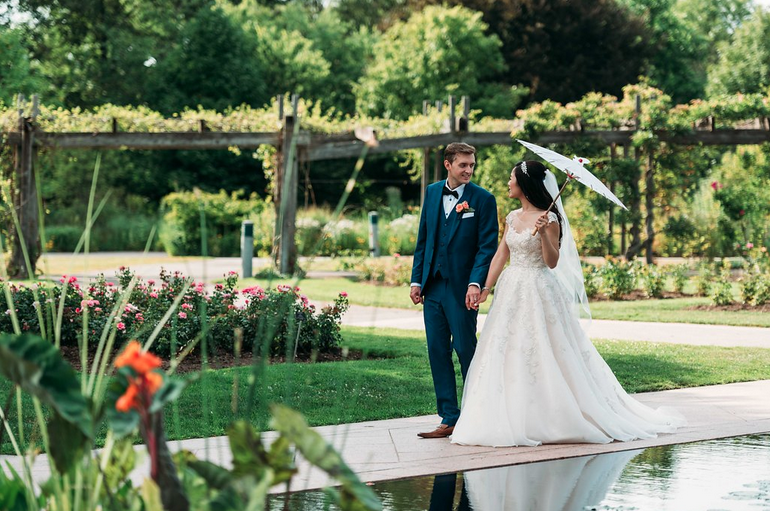 The immaculate gardens served as a stunning backdrop for the gorgeous photos captured by Jeremie Dupont Photography. 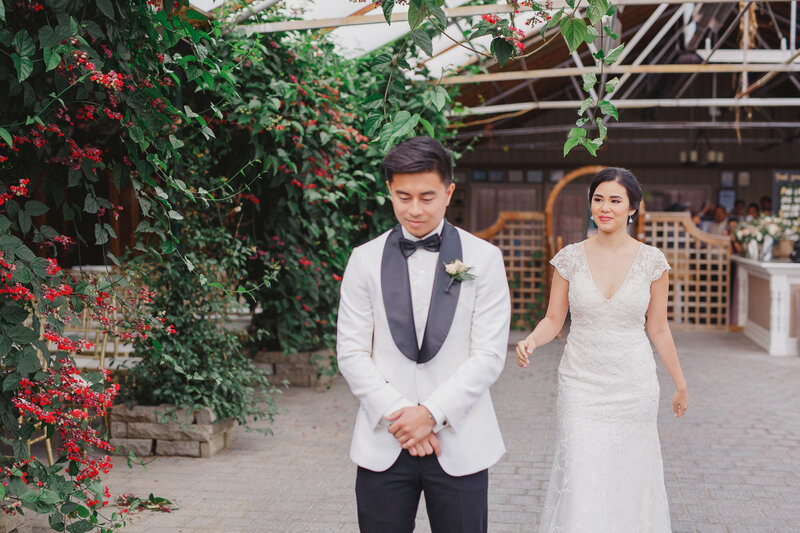 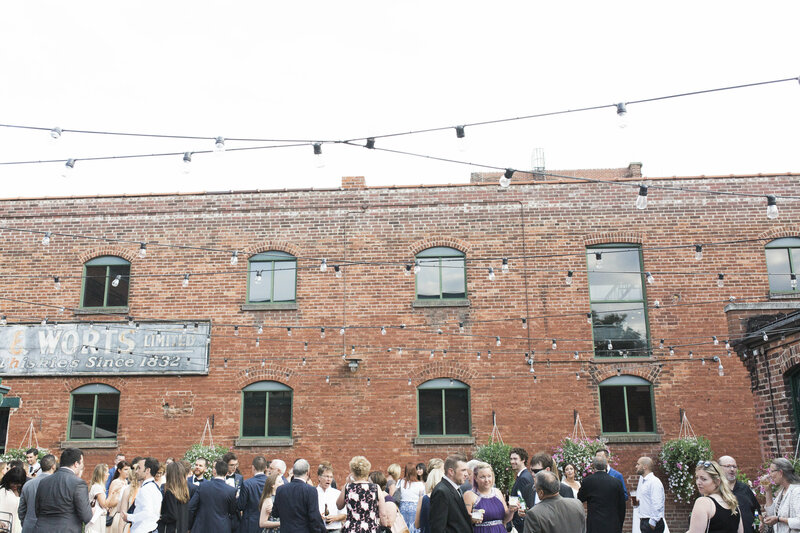 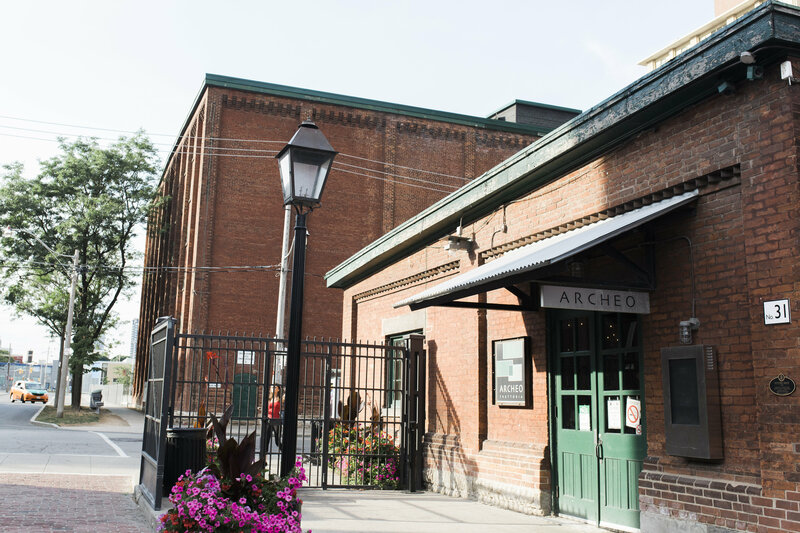 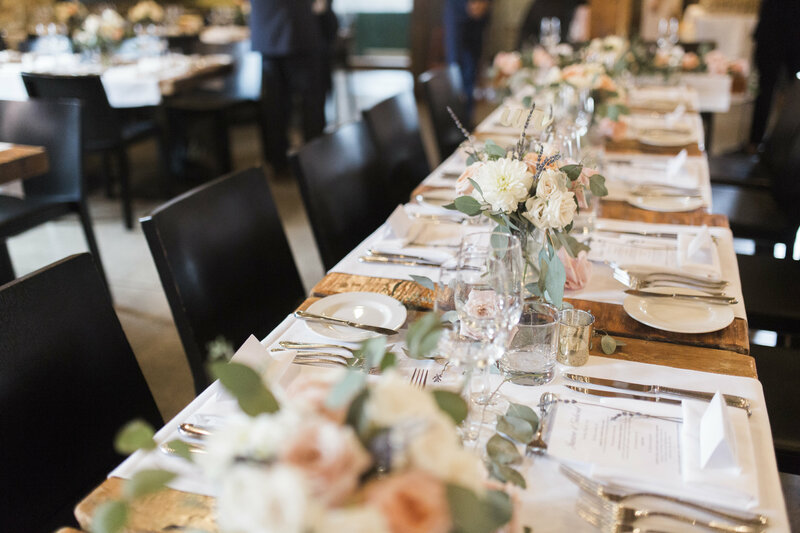 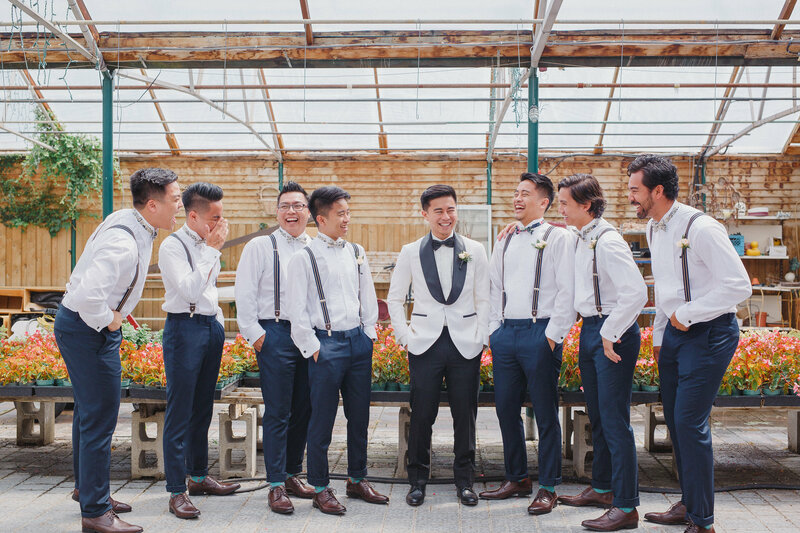 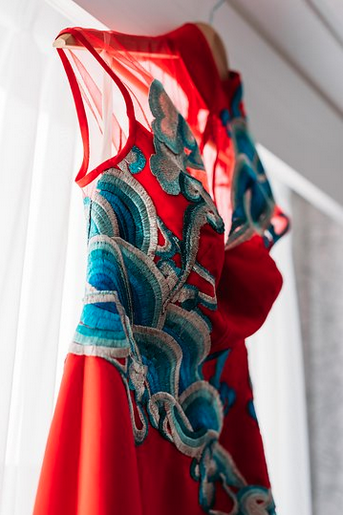 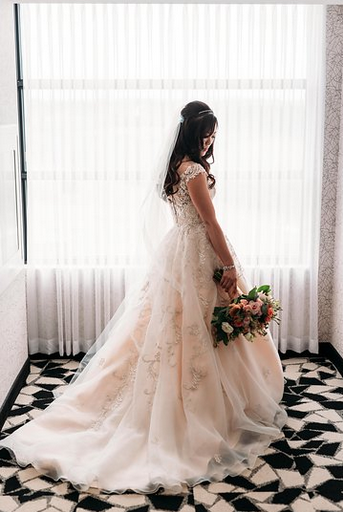 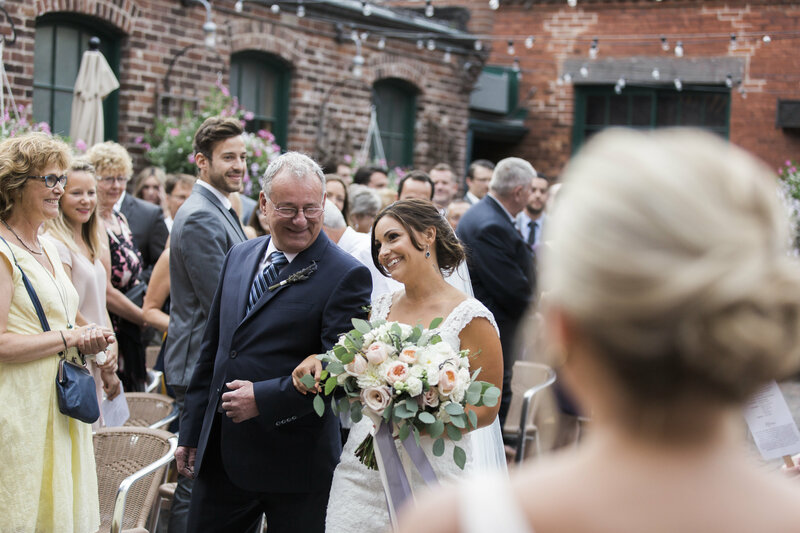 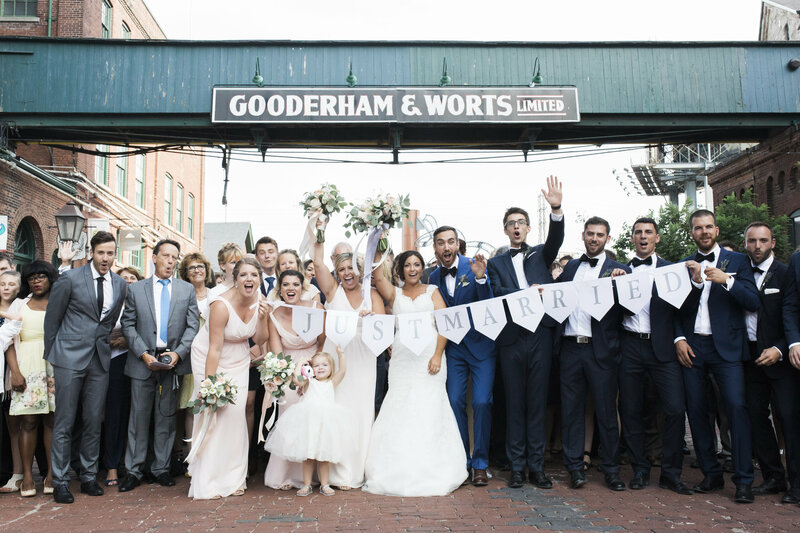 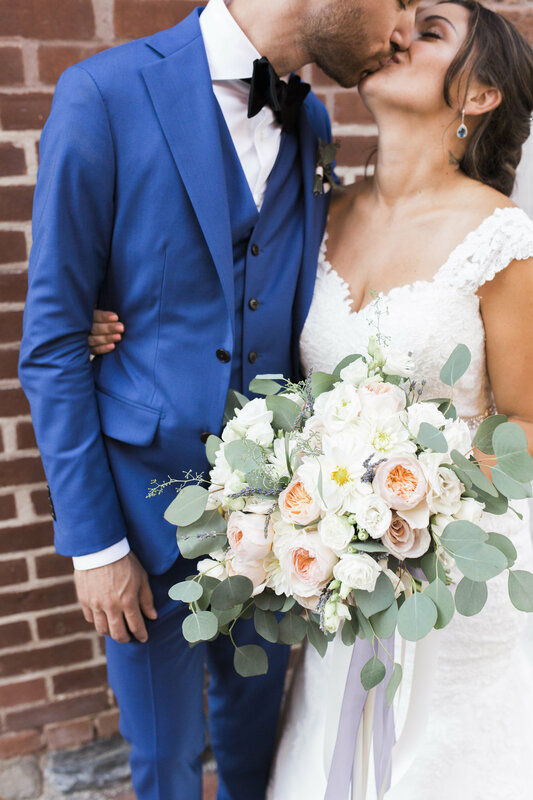 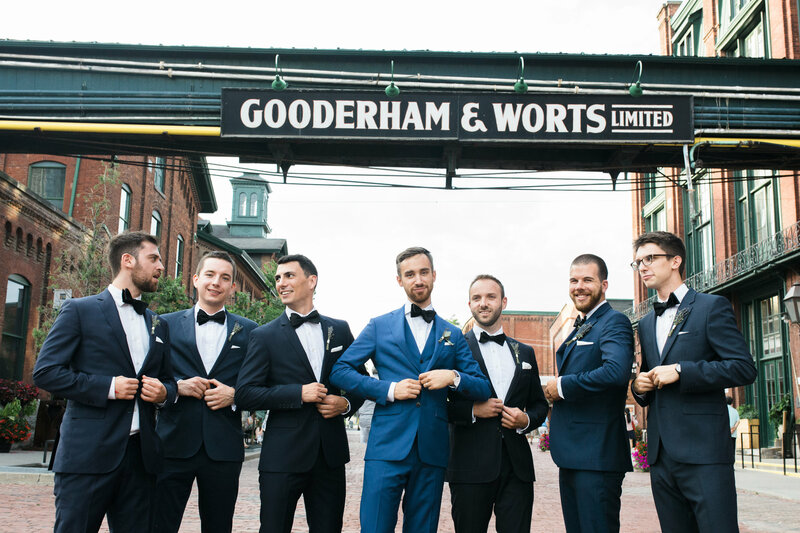 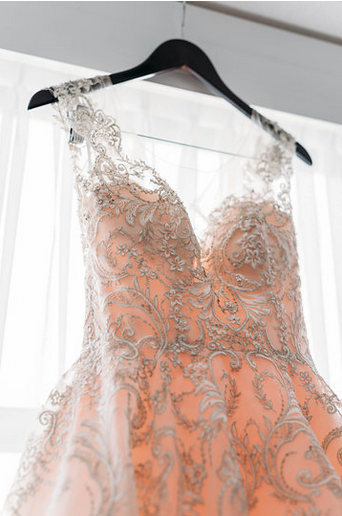 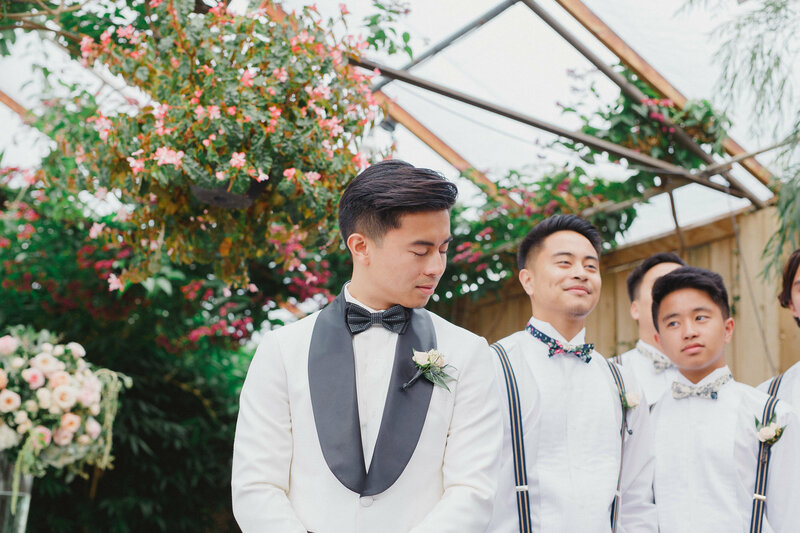 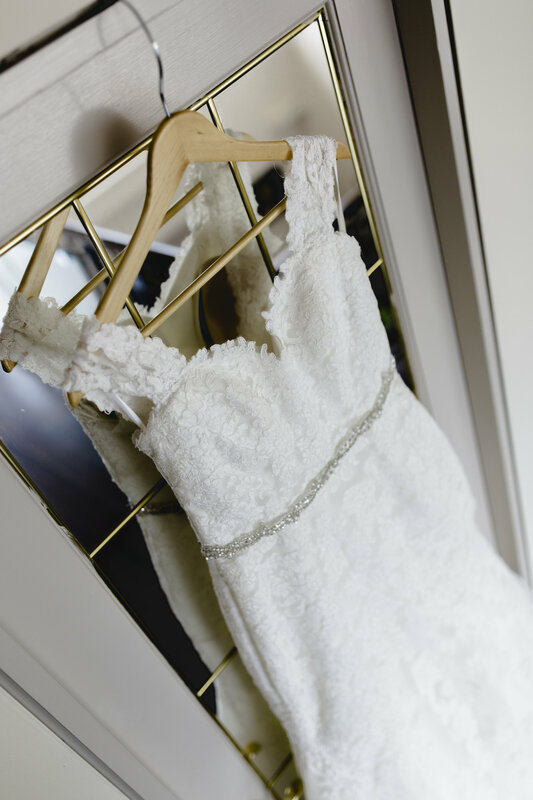 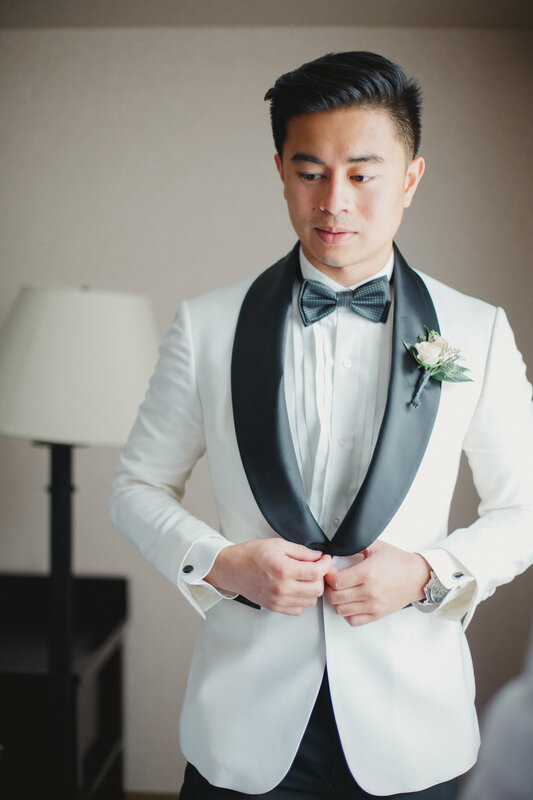 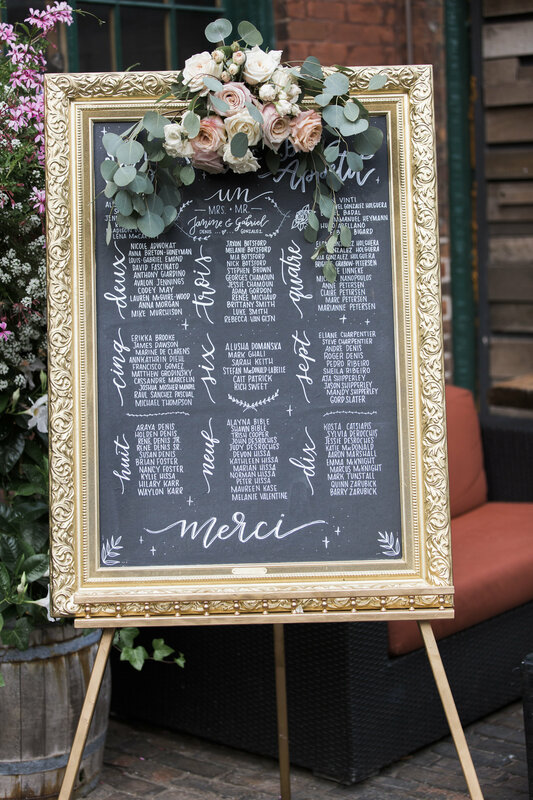 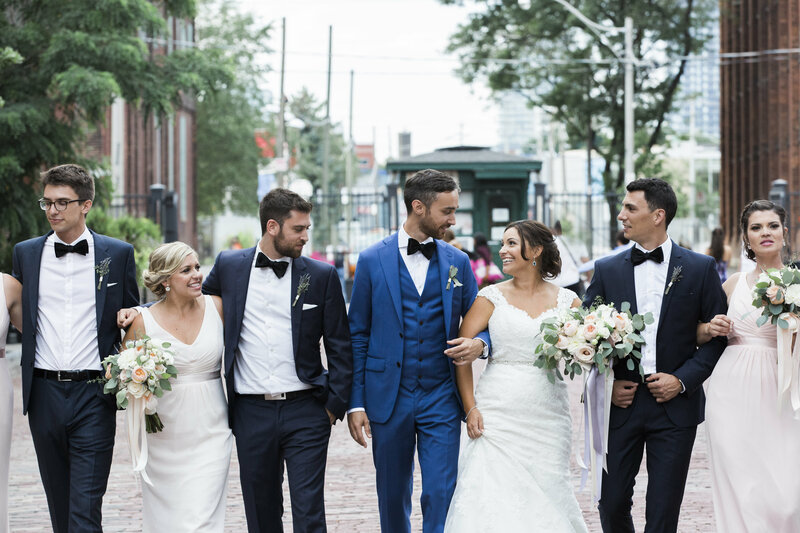 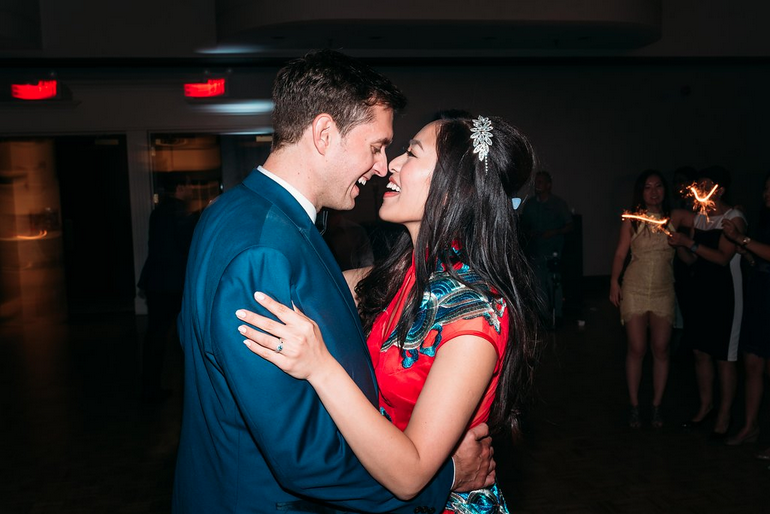 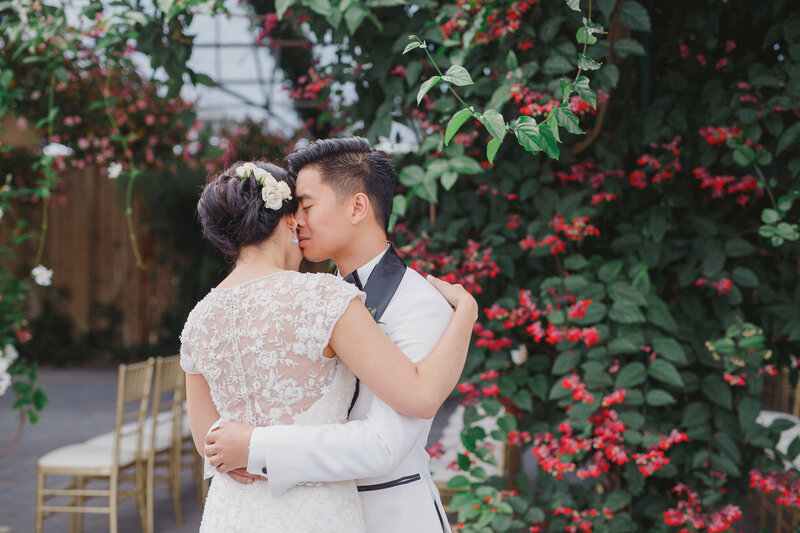 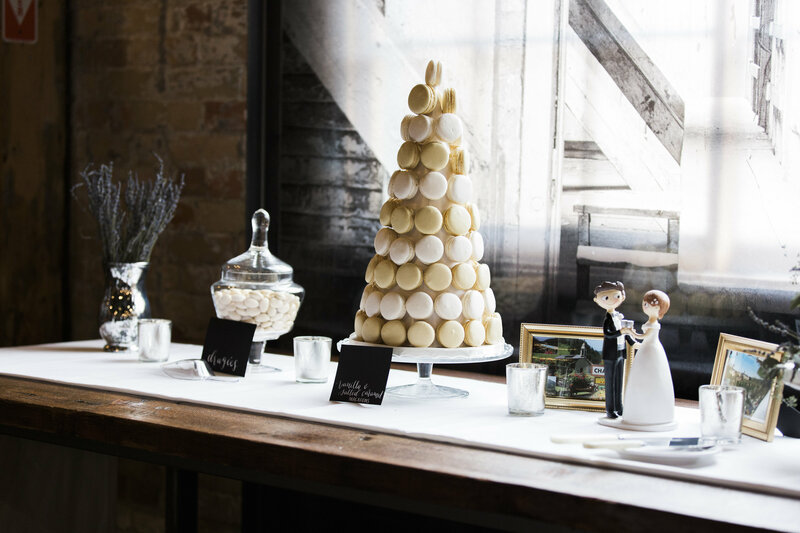 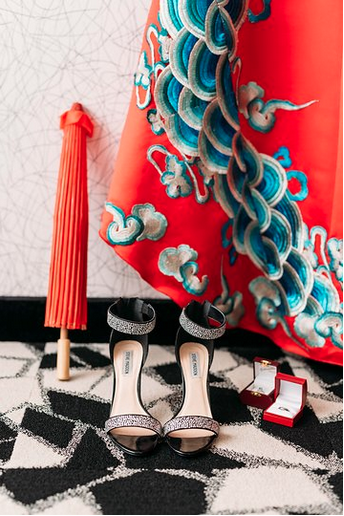 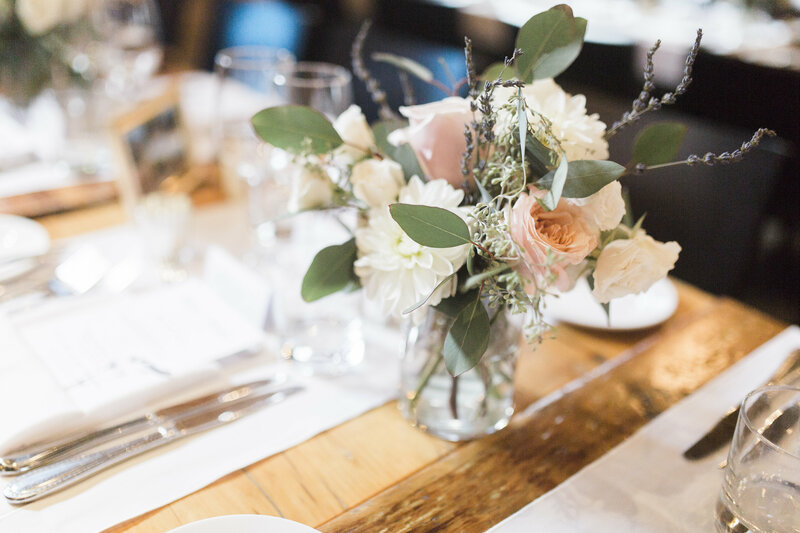 When bride Janine approached us for a design for her wedding at Archeo in Toronto’s Distillery District she emphasized the desire to meld her and her future husband, Gabriel’s different cultural background into their relaxed yet elegant wedding. 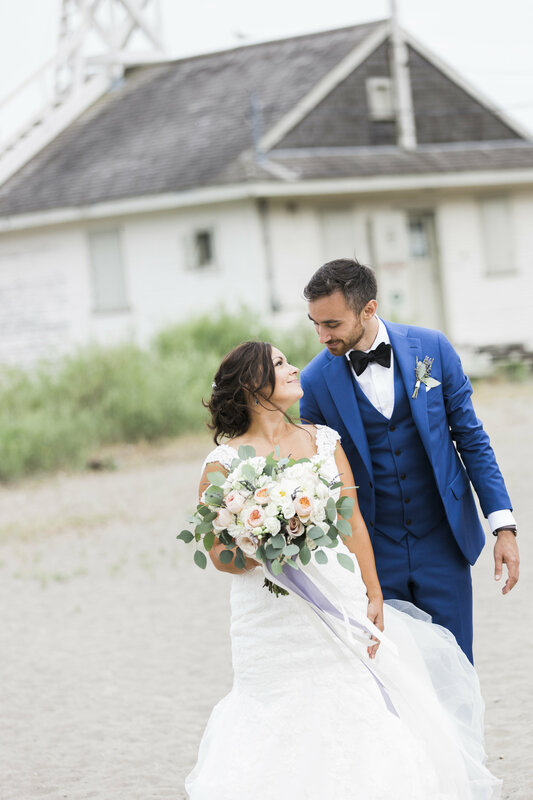 Janine, who’s Canadian, met Gabriel, who is French and Spanish, on an international exchange in the south of France. 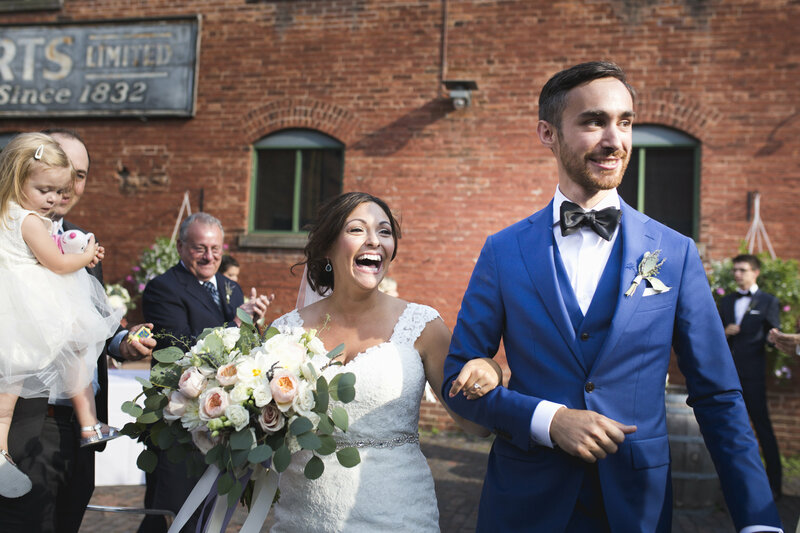 For the next seven years the couple kept their love alive, long distance, then living together in Europe before moving back to Canada. 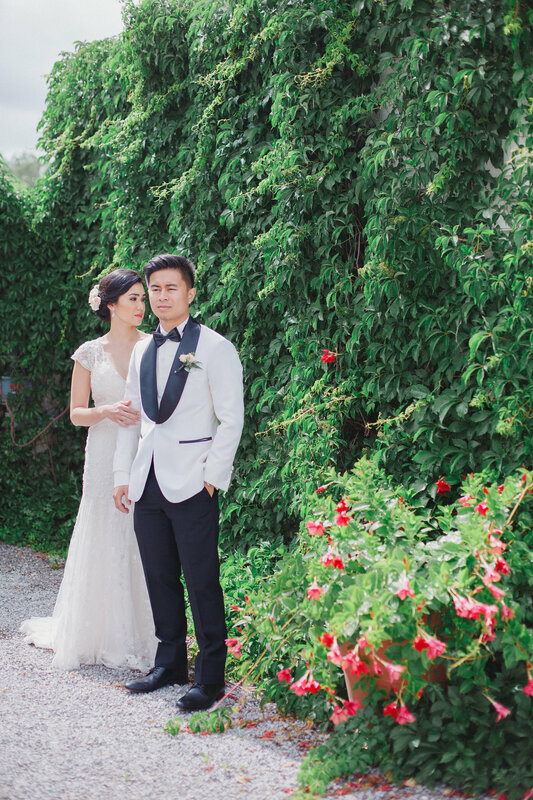 Returning to Europe in the summer of 2015 to visit family and to revisit the place where it all began Gabriel proposed in the in the middle of a lavender field in the south of France. 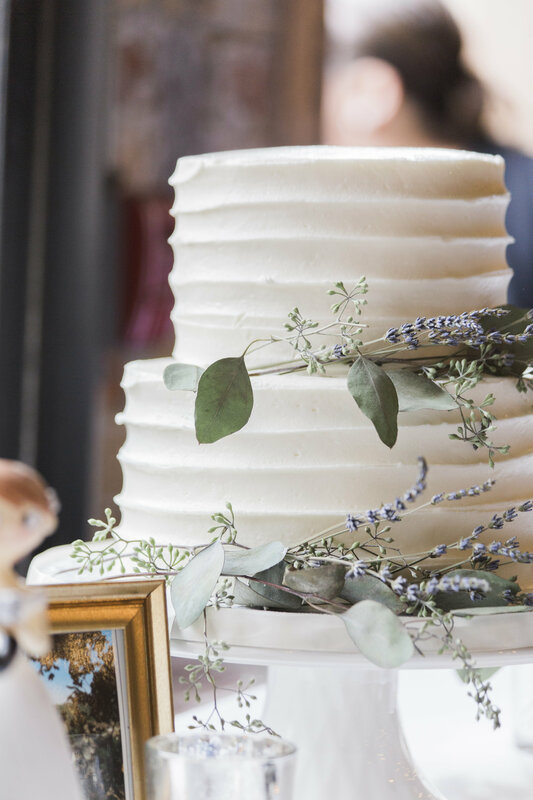 As such, lavender became a key part of the wedding day floral design, incorporated into every decor element and bringing back the fondest of memories for the couple. 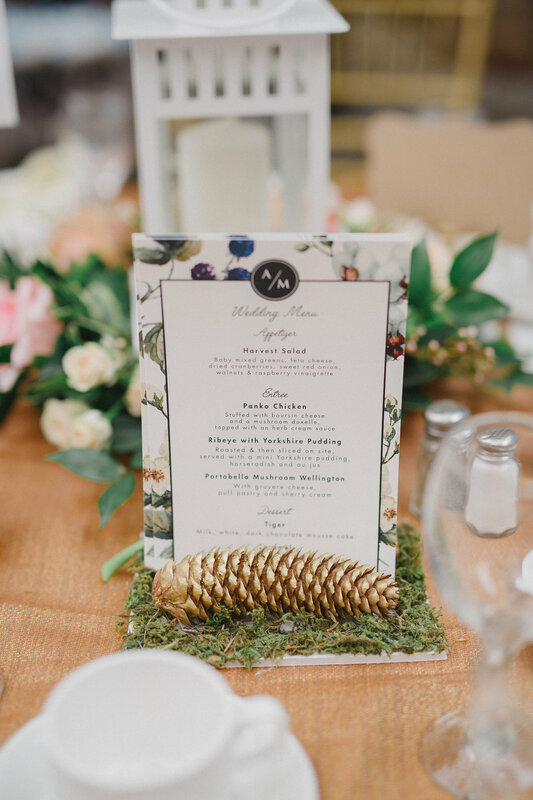 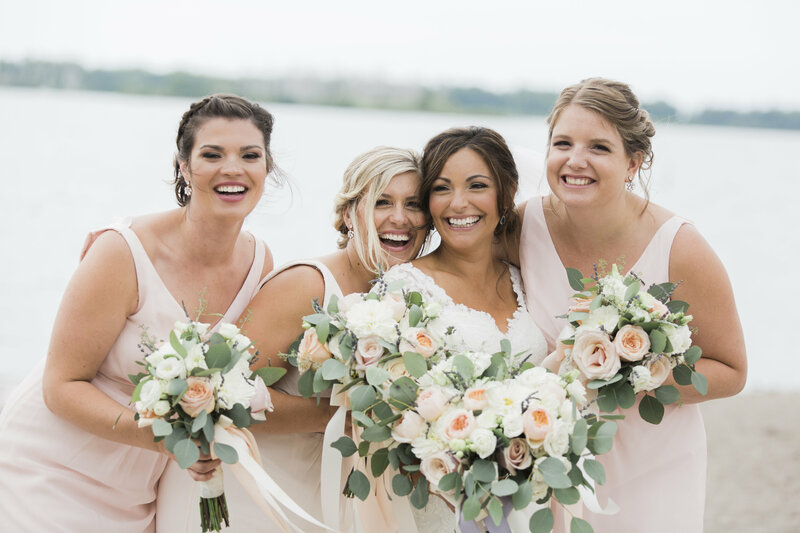 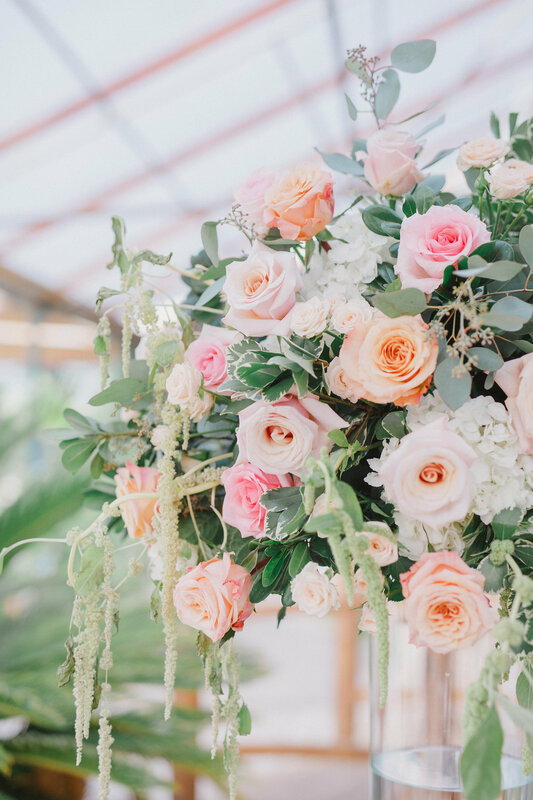 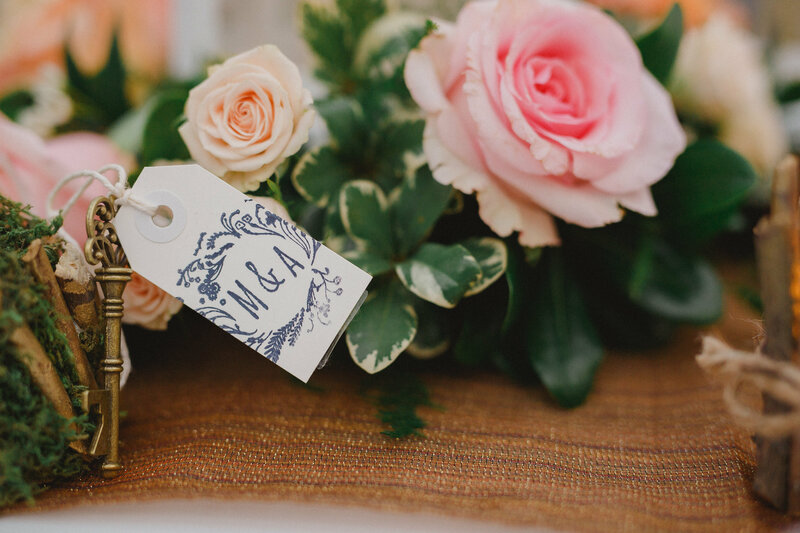 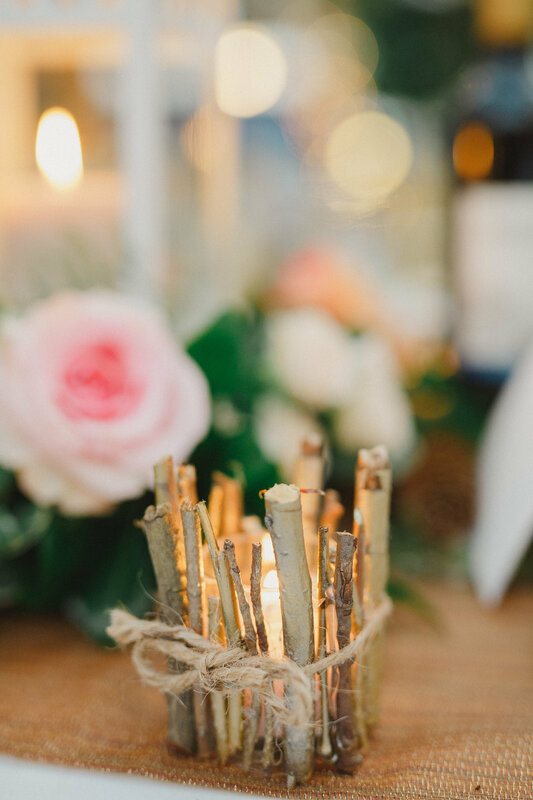 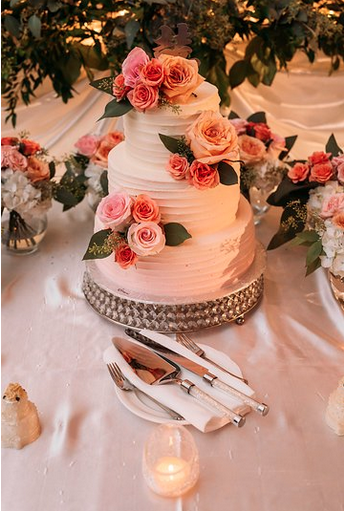 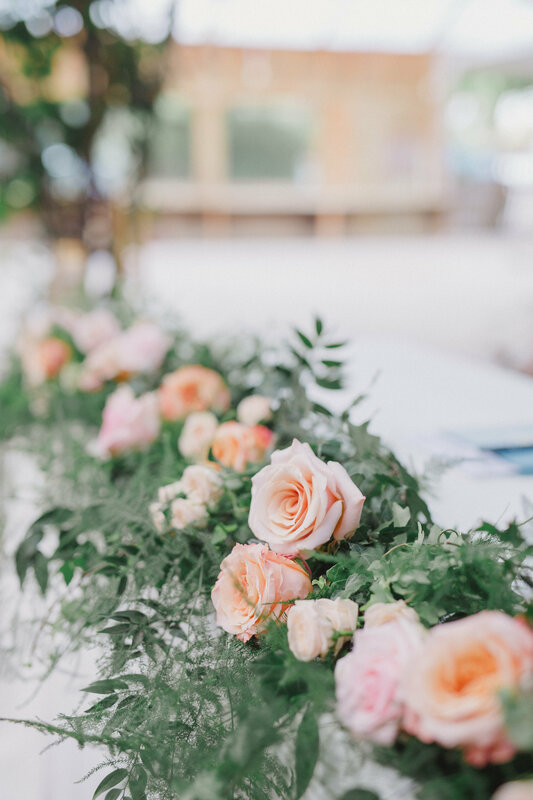 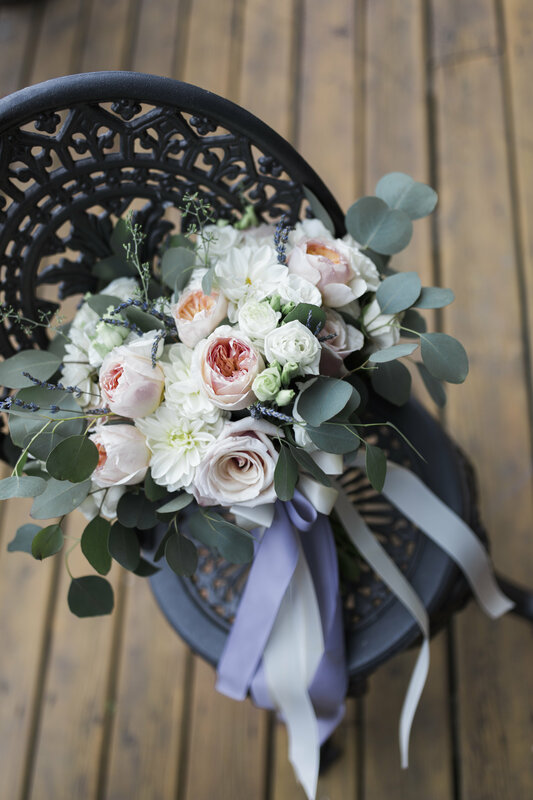 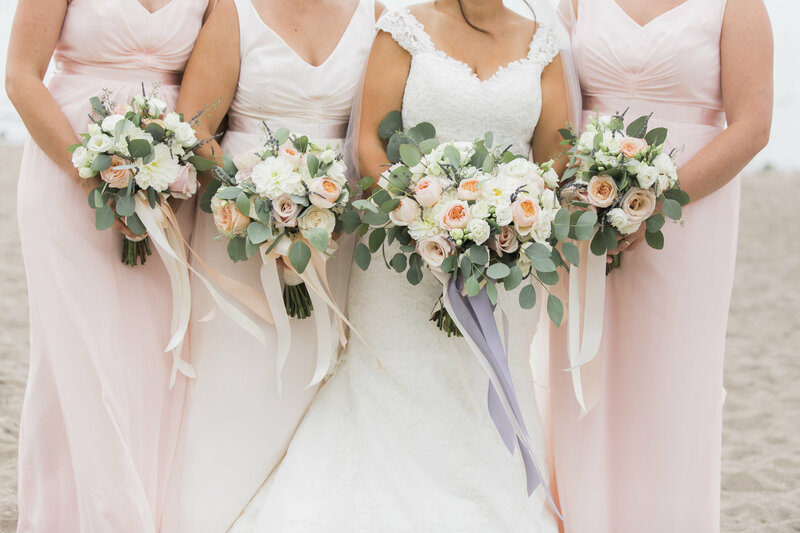 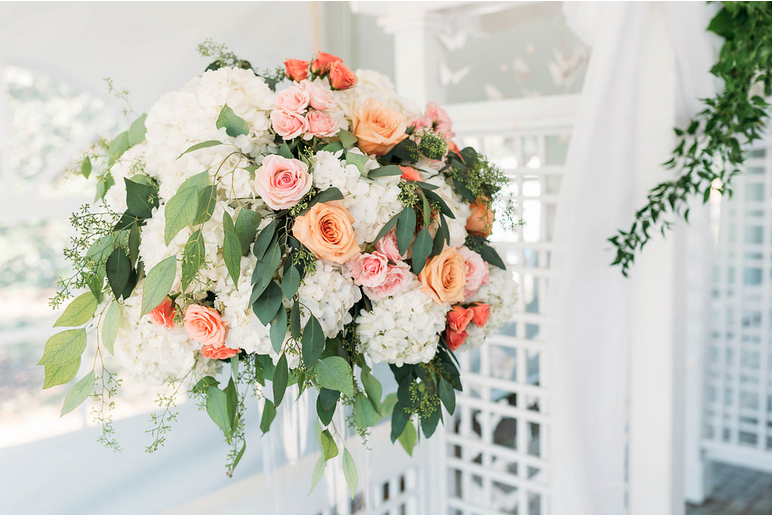 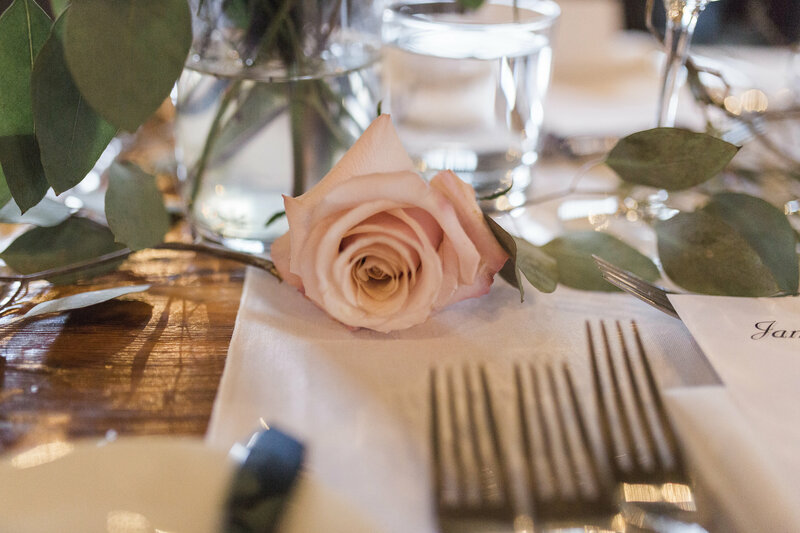 Combined with soft pastel shades of blush and peach accented with muted eucalyptus greenery the floral scheme was relaxed, yet elegant, perfectly complimenting the setting of Archeo and captured by Cait Patrick Photography. 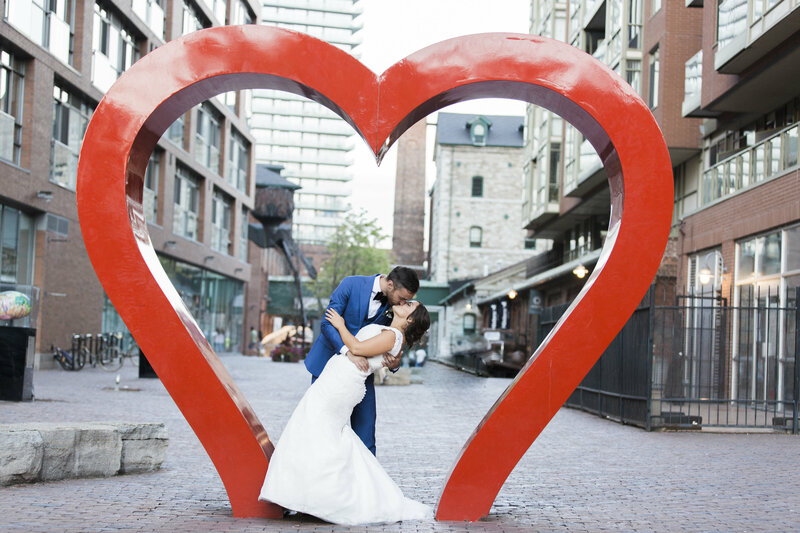 Sometimes you meet a couple who’s love is one for the ages. 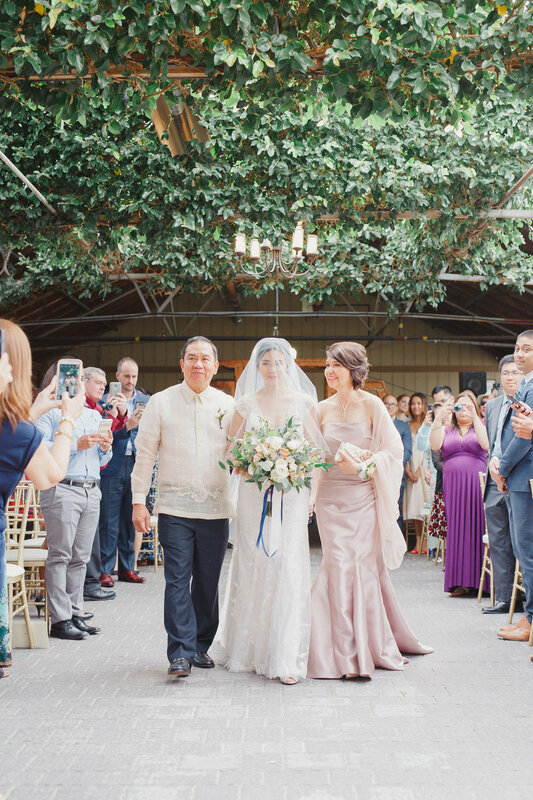 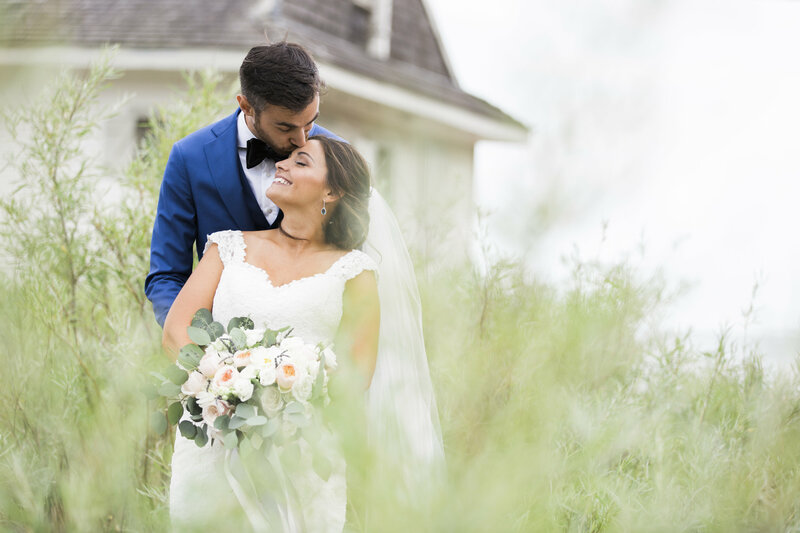 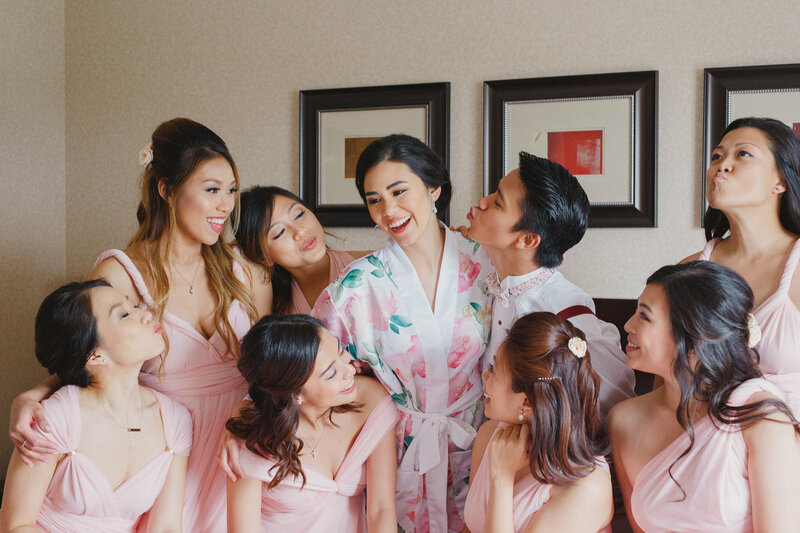 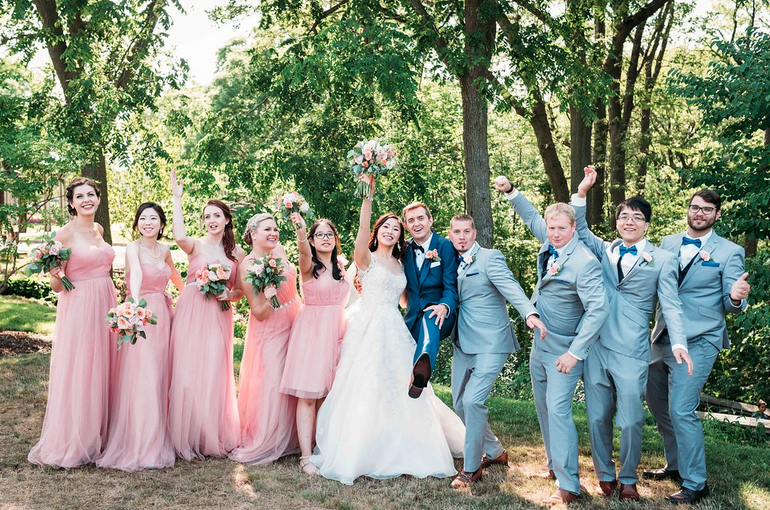 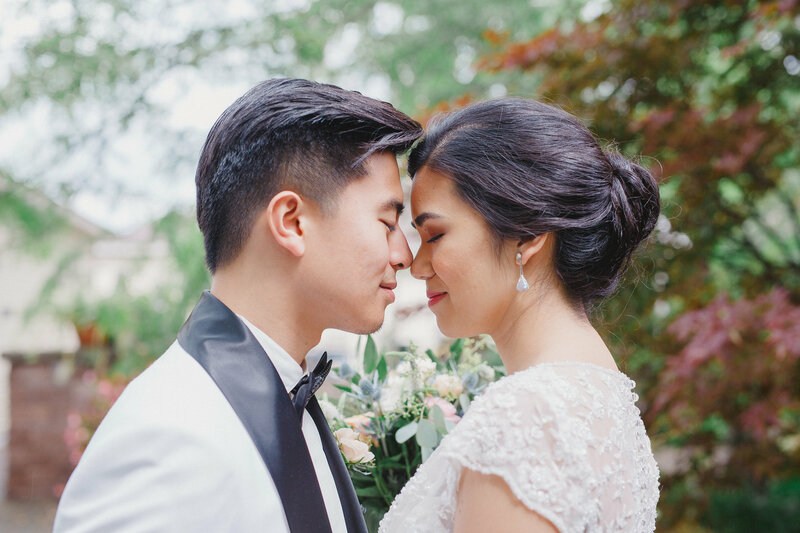 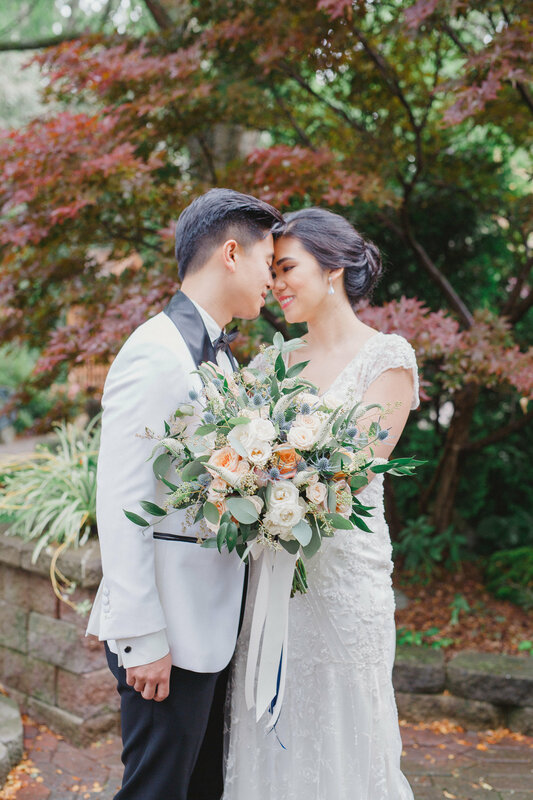 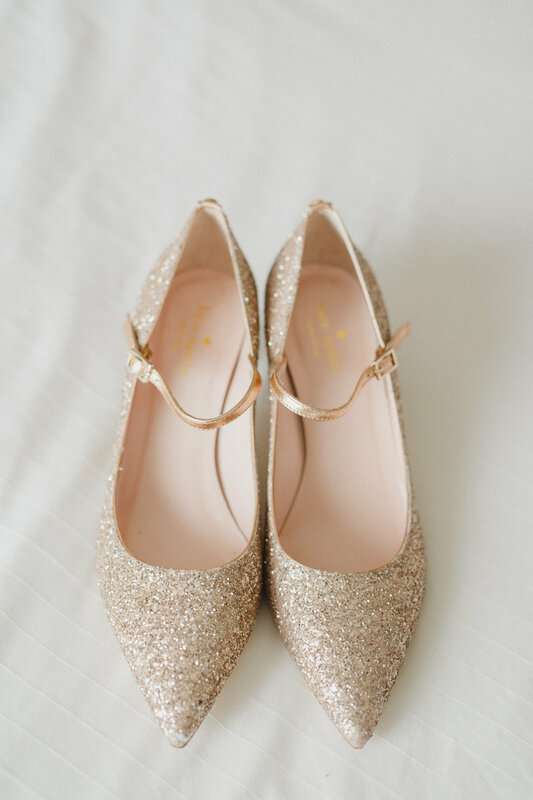 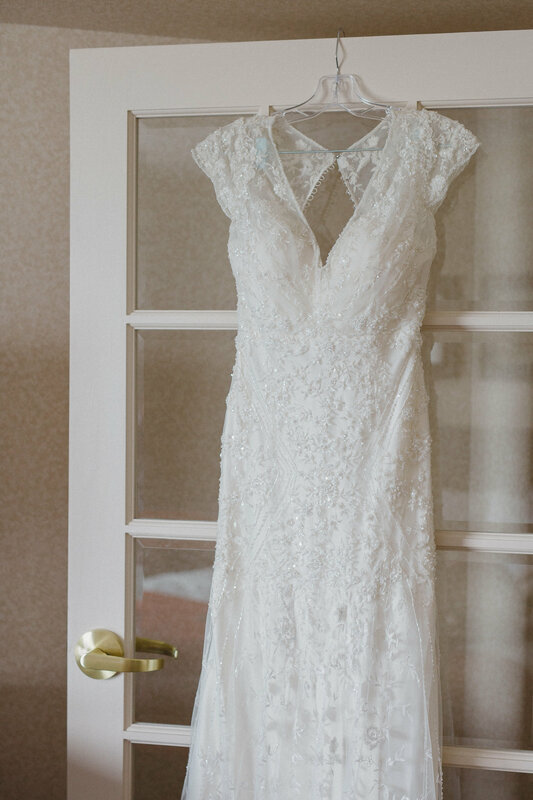 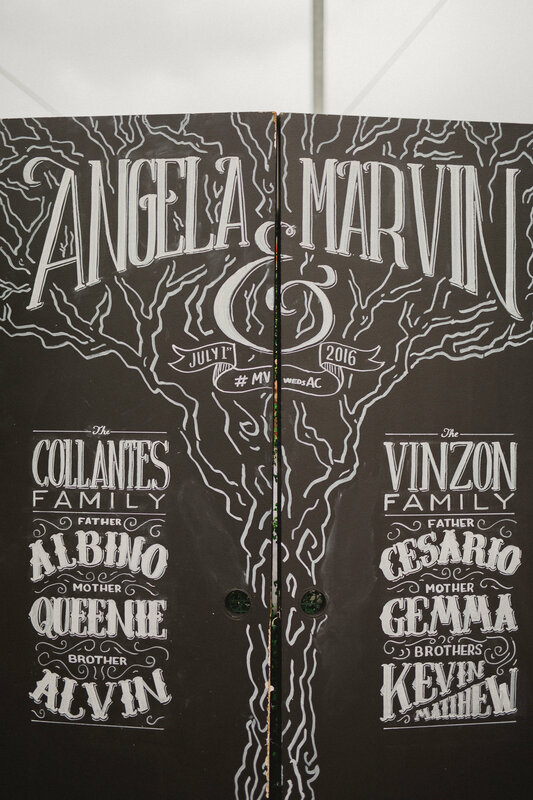 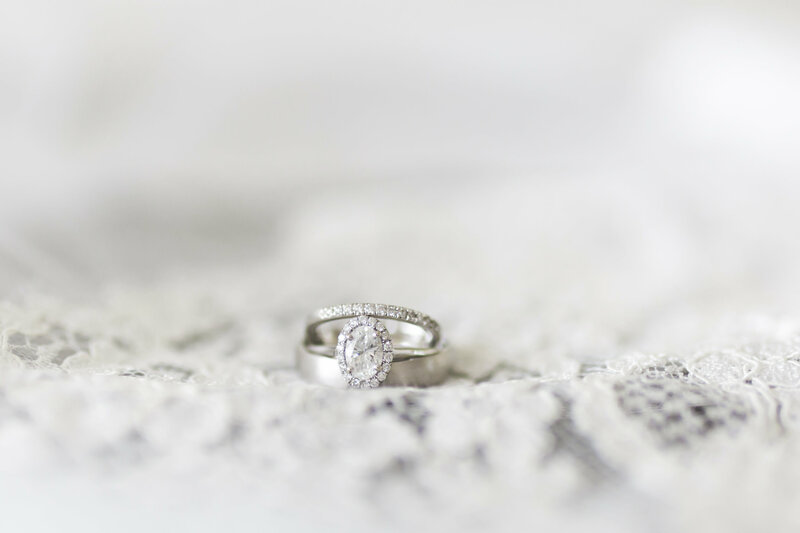 This was definitely the case with Angela and Marvin, who after over eight years together celebrated their marriage surrounded by friends and family, all of which pitched in to make the wedding day happen. 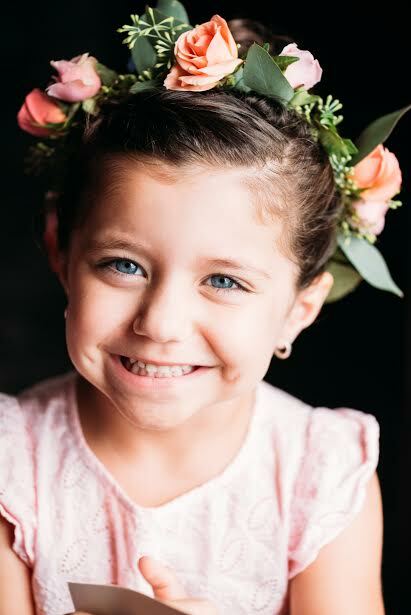 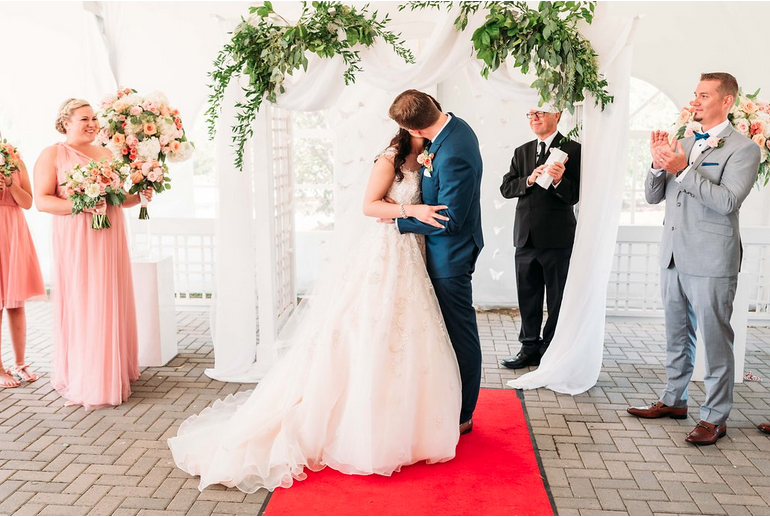 From handmade rustic touches to a stunning life sized family tree, it took a village to get all the little details in order and the results were simply perfect. 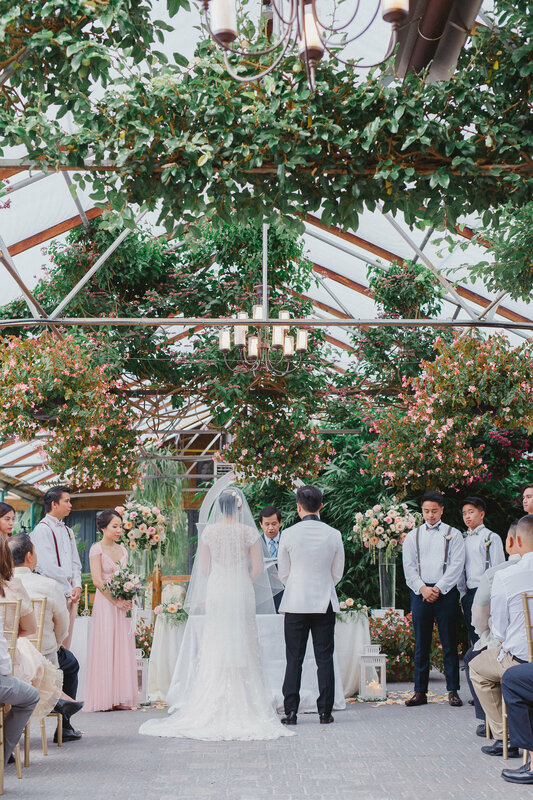 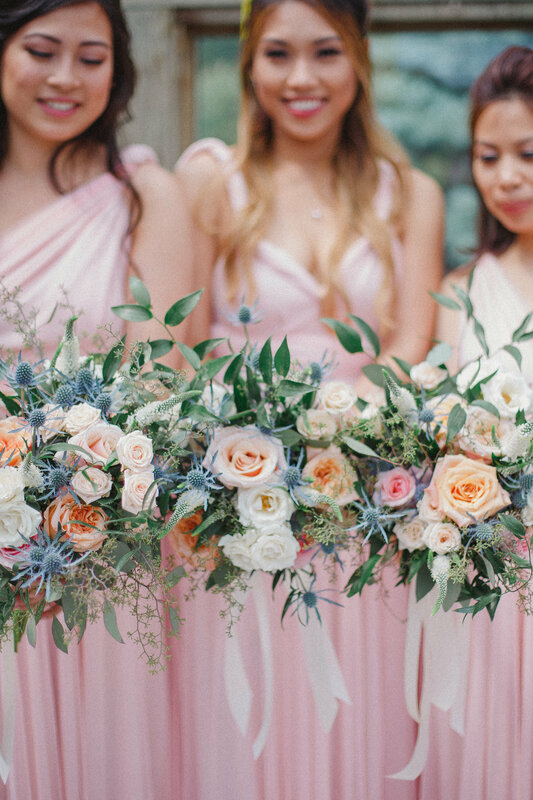 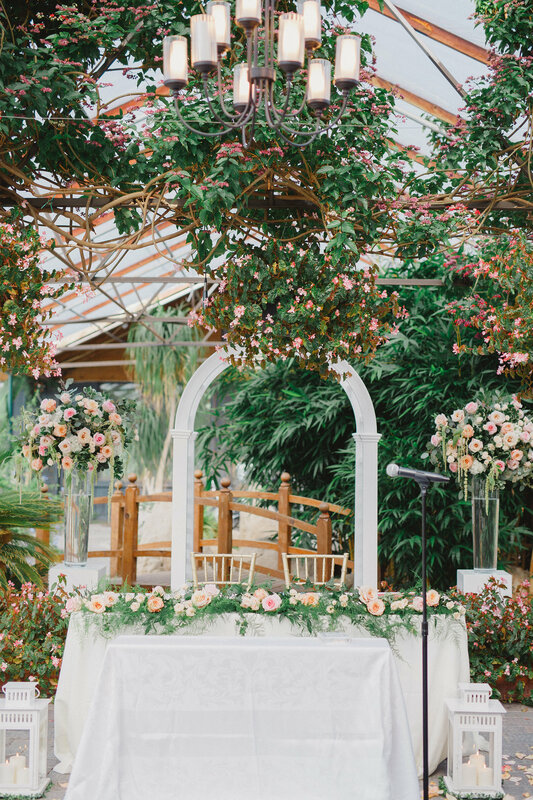 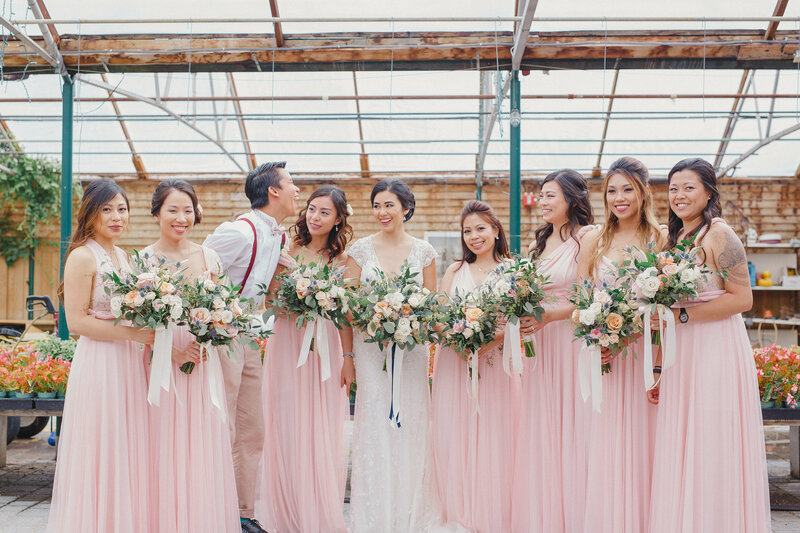 For the abundant florals we combined summer shades of peach and blush with lots of greenery perfectly befitting the greenhouse setting of Madsen’s Greenhouse & Chapel. 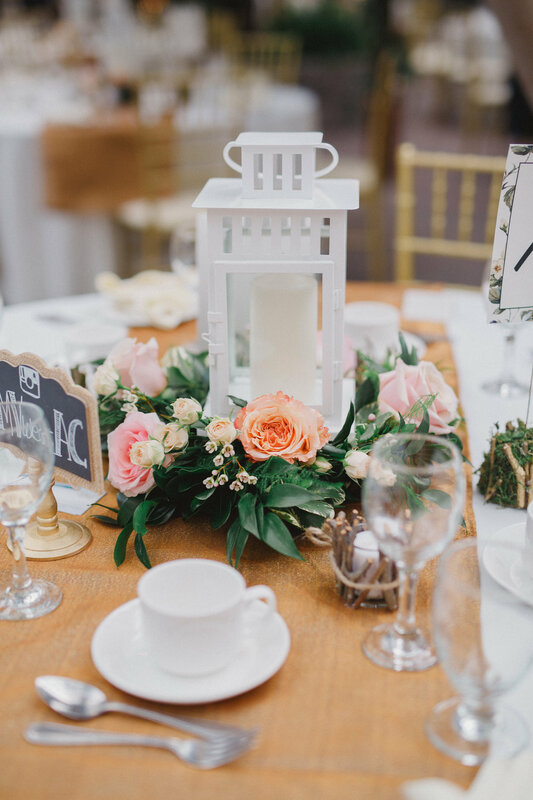 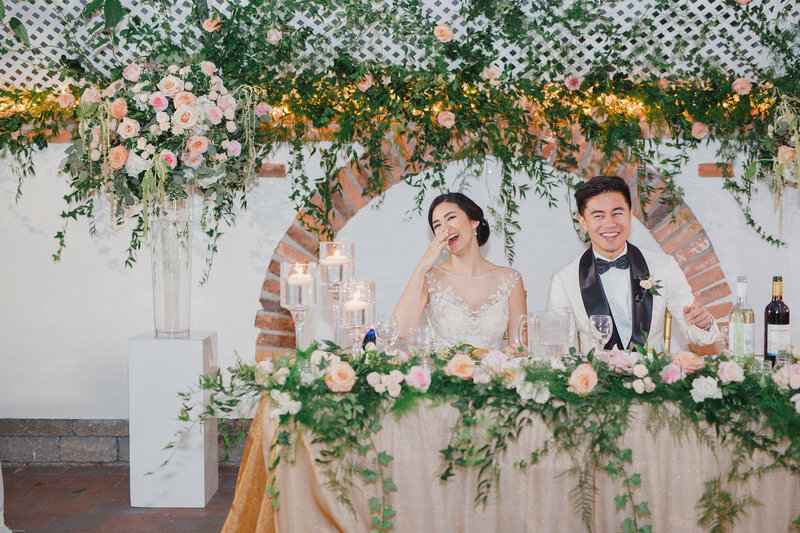 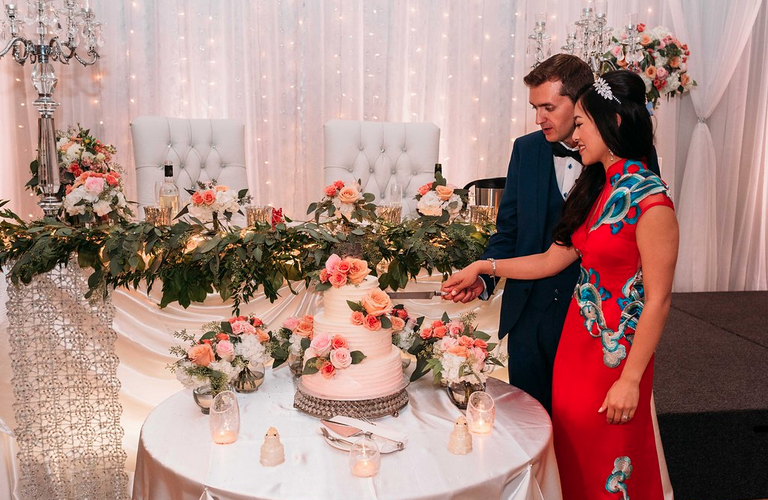 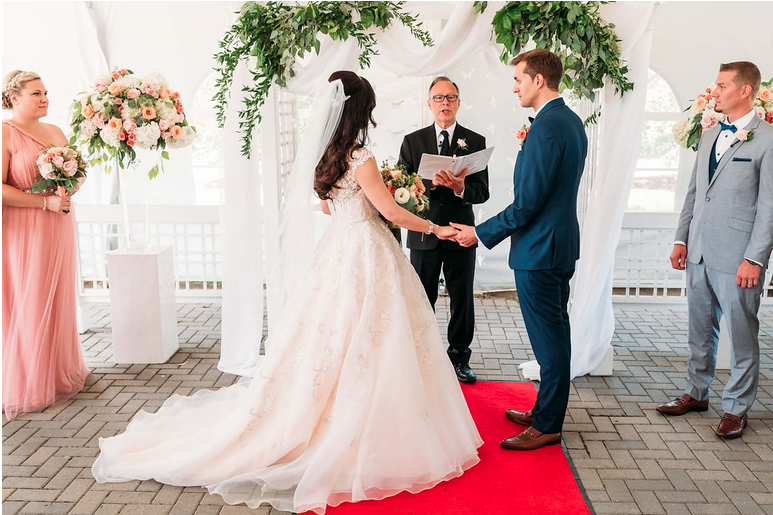 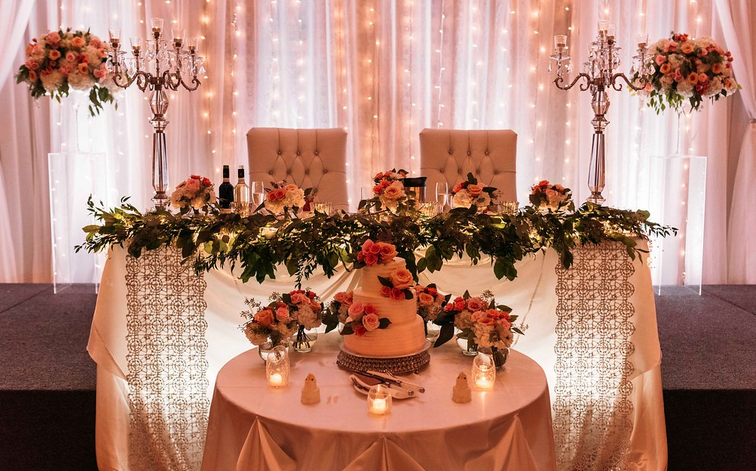 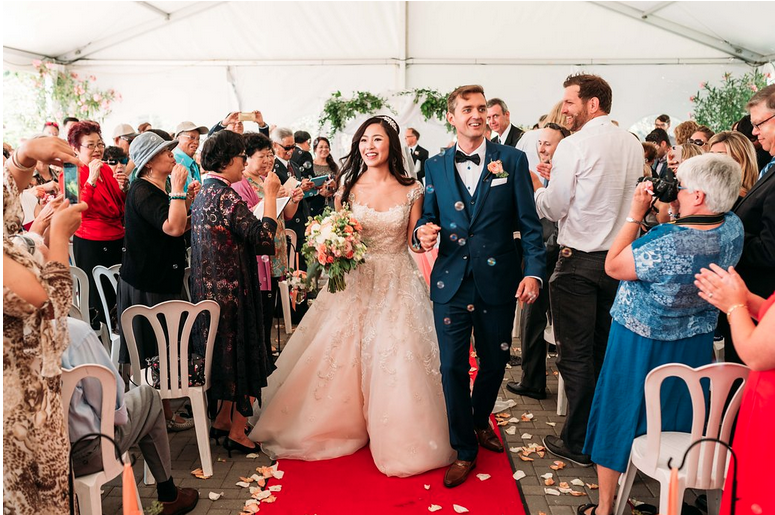 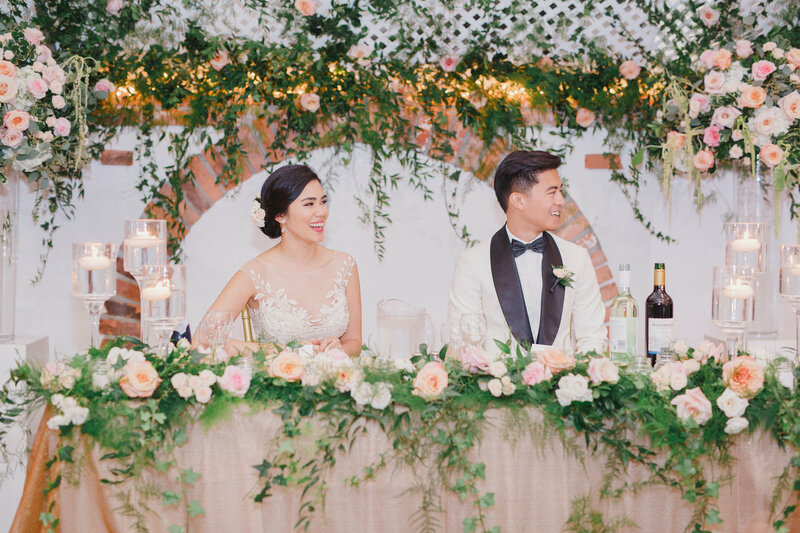 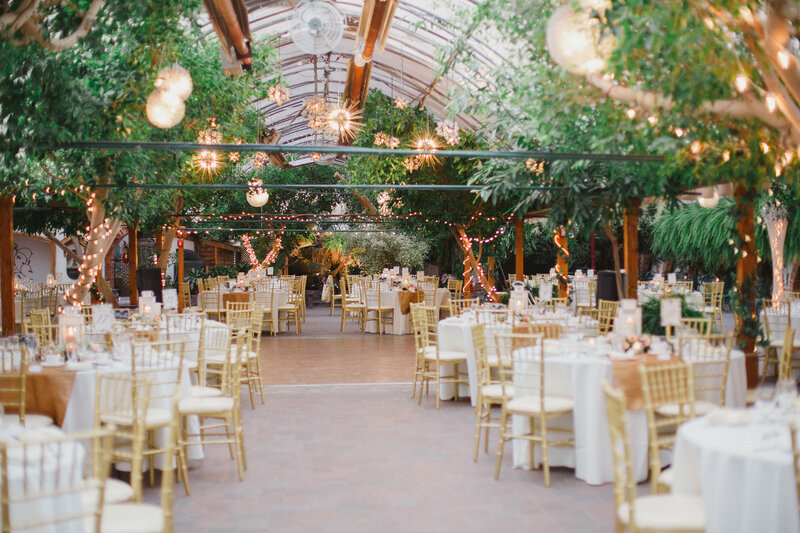 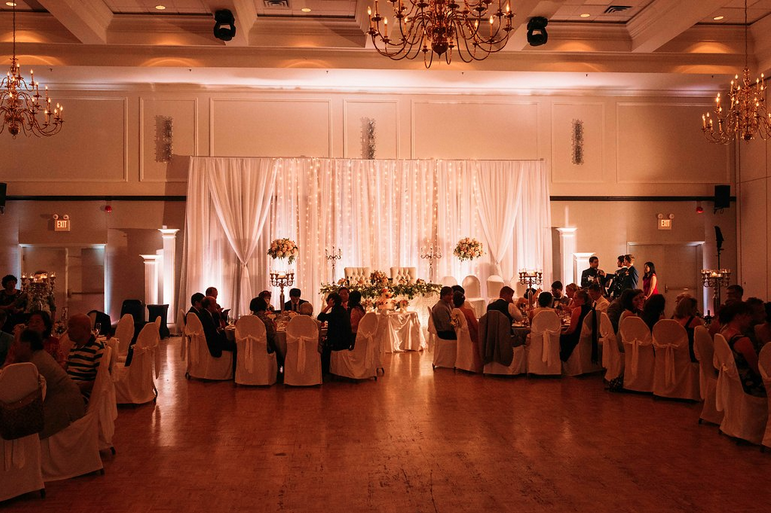 From lush garlands loaded with roses, to pretty lanterns with floral bases, flowers were definitely the perfect compliment to this fairytale wedding. 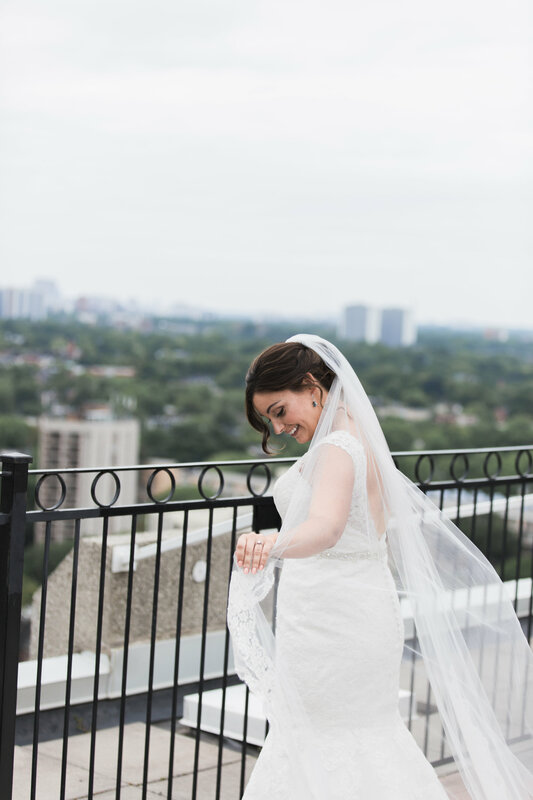 Captured by Wee Three Sparrows Photography this special day was as heartfelt as it was beautiful.